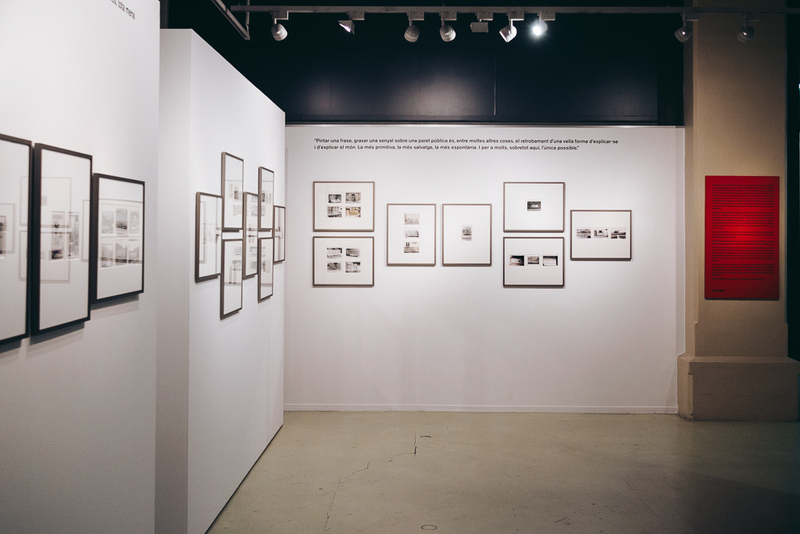 Organized by Photographic Social Vision. 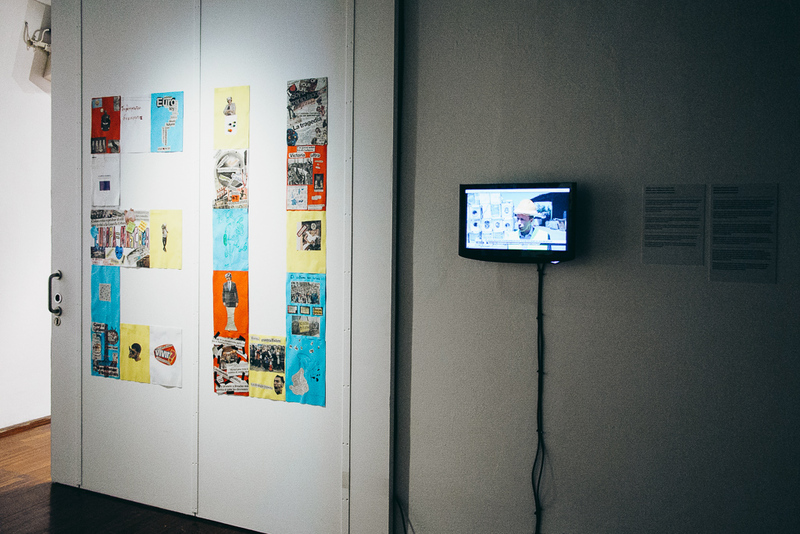 As guest art director: artistic direction of a chore program of 15 exhibitions, 9 of which I curated, and of a parallel program of 15 external venues. 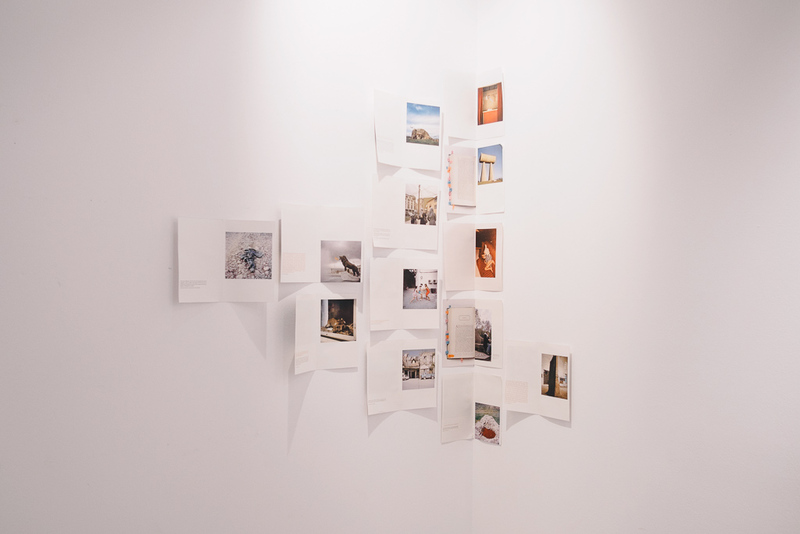 Curatorial approach: “Europe Lost in Translated” was articulated around three group exhibitions. These three so-called “chapters” became its chore and turned into the axis of the curatorial proposal wherein the argument was developed. 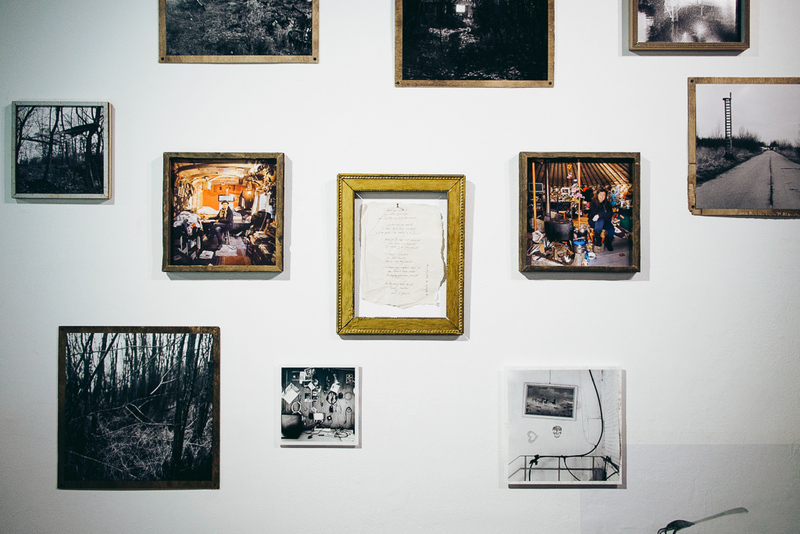 The three chapters provided the threads for gatherings and other joined events that reinforced a sense of community in the long two-month Festival program. The three chapters had distinct characters, featured different works and were different in style. The three of them took their titles from European literary works, encompassing broader reflexions on the how and the when. 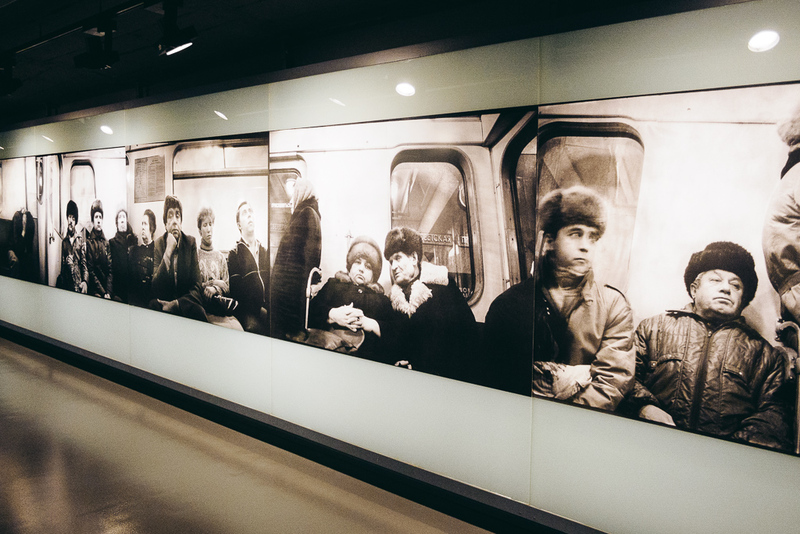 They became the episodes of the very same narrative introducing to different modes, ideologies, practices and audiences. 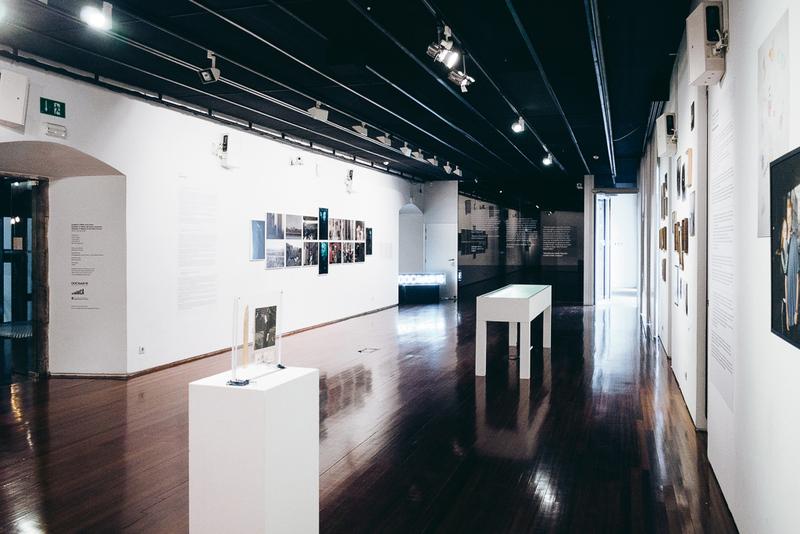 Around them a series of solo and group exhibitions enriched the debate. 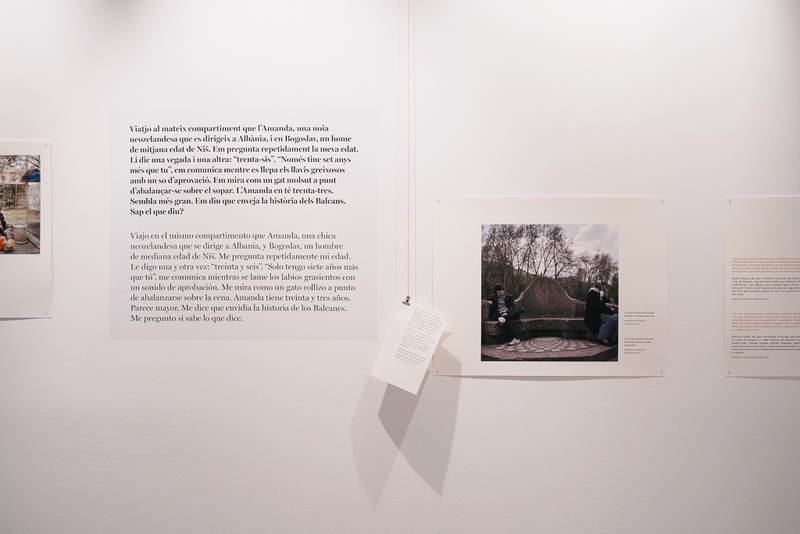 Various resources were used for the installations: ephemeral elements, book and book-format evoking displays, public installations, press clippings, taking into consideration always the character of the venue and the audience profile. 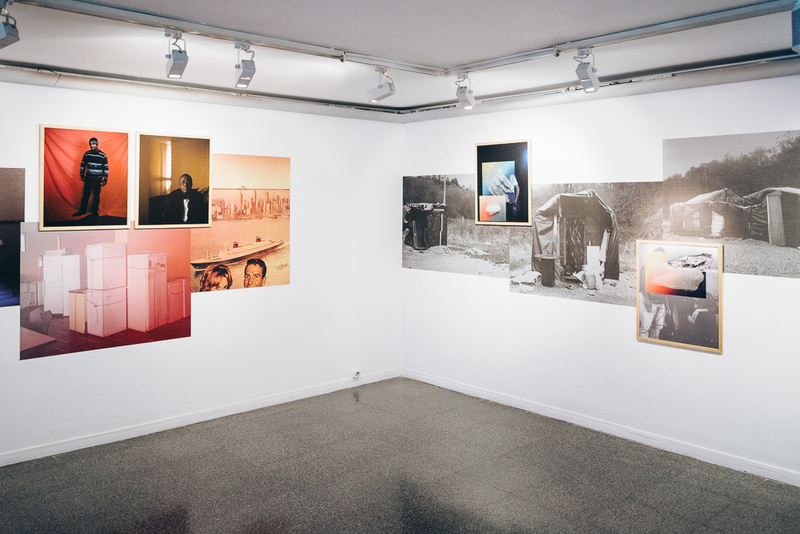 Artworks: © Piero Martinello, Michal Iwanowski, Dana Popa, France Keyser / Installation views: © Courtesy Oscar Ciutat. 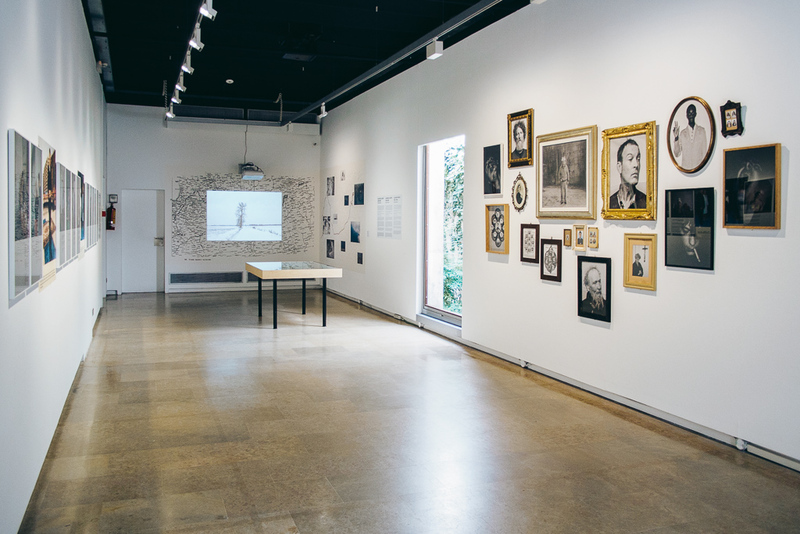 Short exhibition statement: Inspired by Jorge Semprún’s, European Man, the first chapter of Europe: Lost in Translation explores the notion of European identity. What does it mean to feel European today? What recollections survive and what memories have we buried of our own volition? Let us initiate a debate on the ideological and human essence of the old continent, and let us reflect on its system of values. 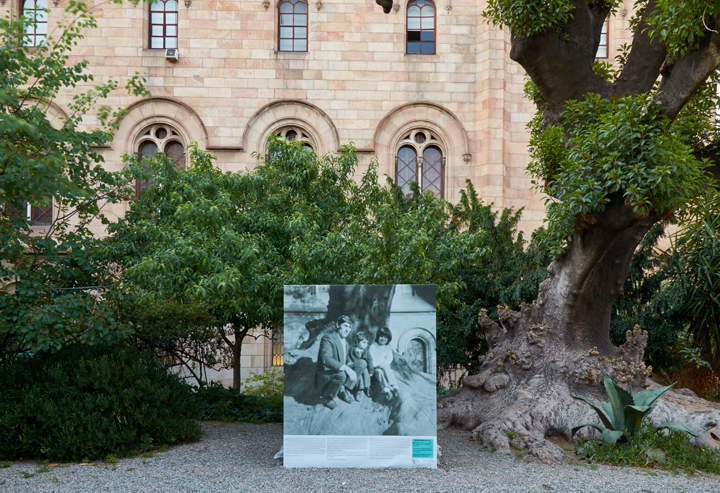 While children and young people affected by the drama of war inundate our continent, the generation of the Second World War, which left Europe in rubble and ruins, is still here. They are our parents and grandparents. And those of us born around the 1970s and 80s are the generation expected to take up the reins of the current status quo. To us, terms like ‘Holocaust’, ‘totalitarianism’, ‘communism’ and ‘border control’ still sound familiar. But to what extent is this true for generations younger than ours? Before we head into the future of our Europe, and while old formulae still survive even as old traditions are disappearing, let us reflect on our origins, let us avoid repeating once again the ills of the past and the amnesia lodged in the DNA of our continent. 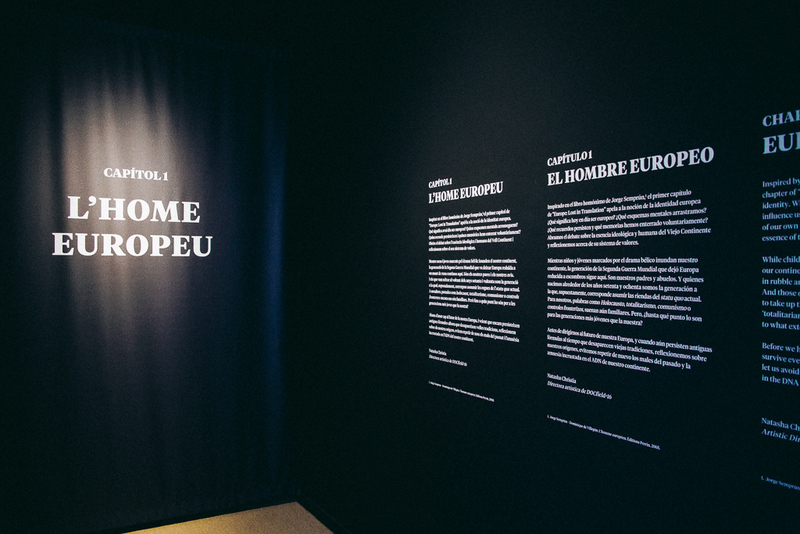 Curatorial approach: Entitled “The European Man”, after Semprún’s book, the first chapter of Europe: Lost in Translation addressed the issue of identity of European men and women today. Departing from a generational point of view, it emanated from my personal experiences but also encompassed the viewpoint of the generation I belong (people born in the 1970s-1980s, who experienced the old Order and are now assuming the command/responsibility/awareness of the new status quo (crisis / after-crisis / collapse). 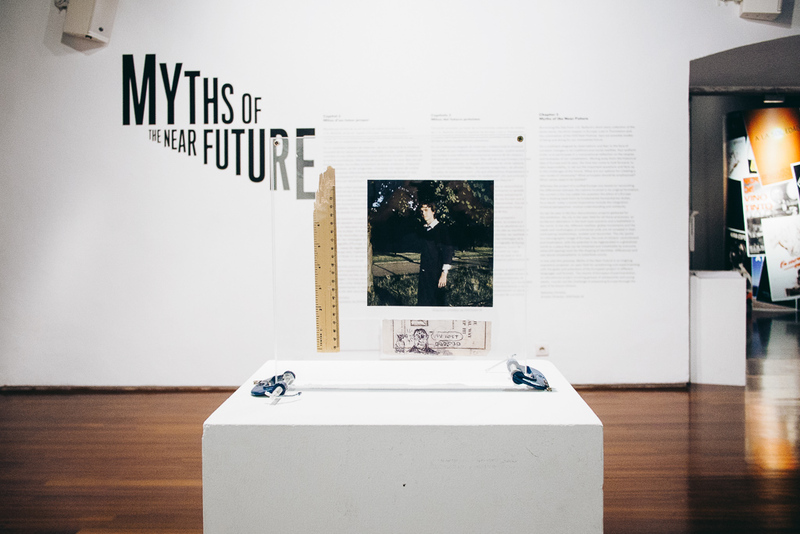 It attempted a flashback to seventy years of European history through the stories of three different generations, as to uncover the trappings of our European DNA, its characteristics and its illnesses. 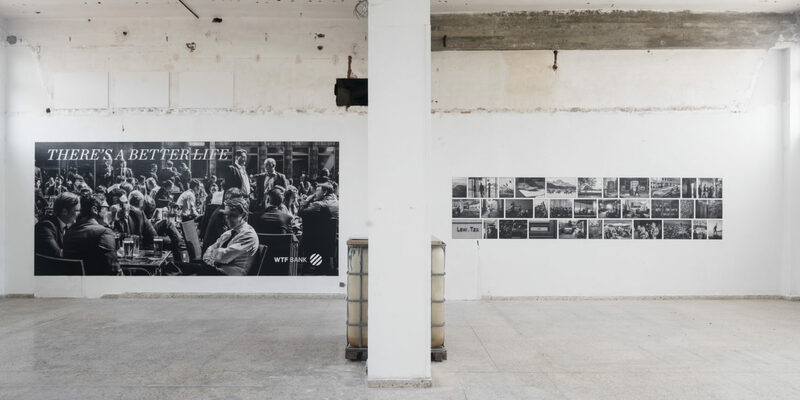 The exhibition brought together four different projects and documentary approaches: First, Piero Martinello’s “Radicalia”, a typological work on the outcasts of Italy. 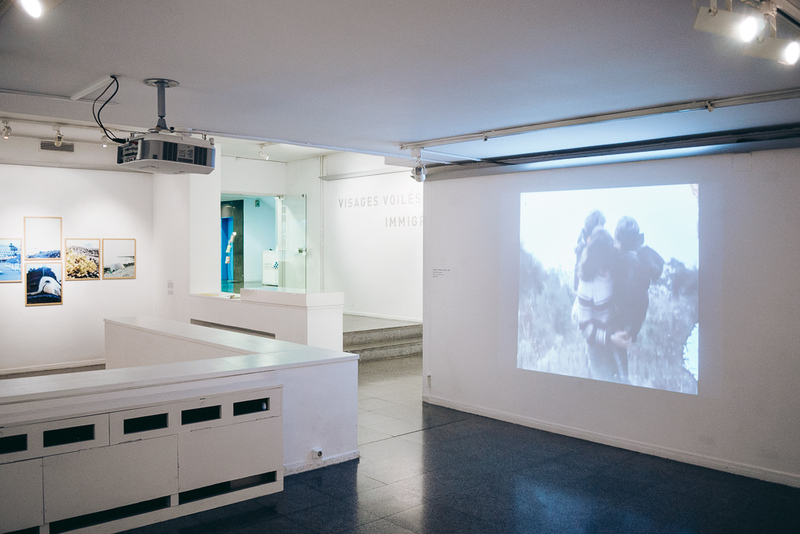 As a so-to-speak folkloric-Pasolinian visual assemblage of the Other, “Radicalia” addressed a comeback to the old values and their authenticity, but also evoked the recent past of the European continent and its shadows: extermination, oppression, concentration camps. The Other was an omnipresent notion in the Festival argument as much as Fear, all filtered hrough our familiar eyes. Martinellos’ work became the introduction to it. On an installation level, we worked with Piero’s original materials, reproducing on the wall his vintage-style mosaics. 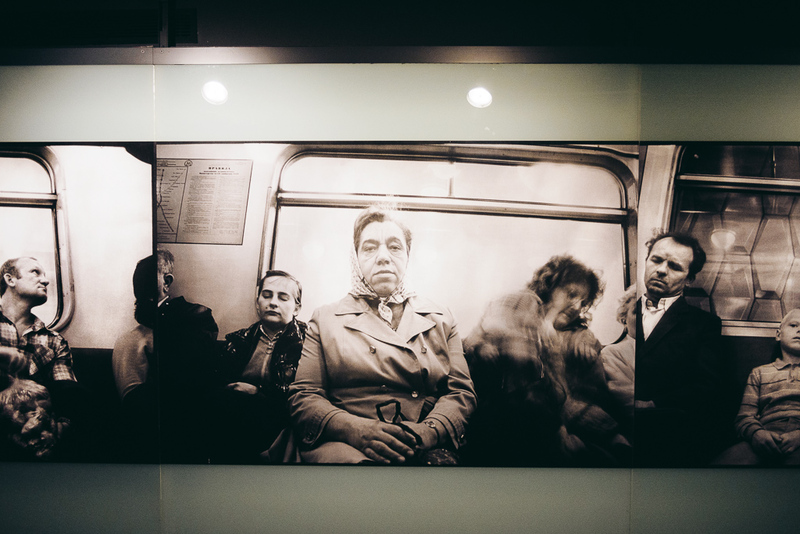 The second work was Michal iwanowski’s “Clear of People”. 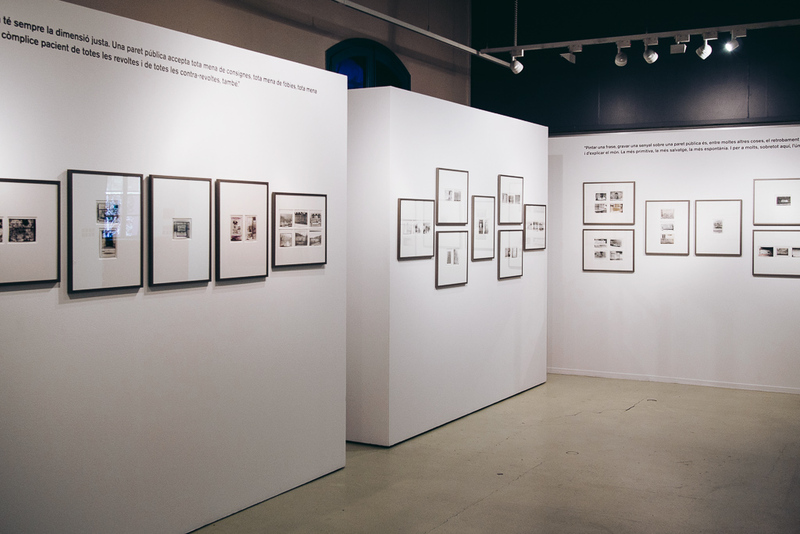 The project delivered the testimony of Wiktor Iwanowski, the author’s grandfather who, during WW2 escaped a gulag concentration camp and fled 2000 kilometers back to Poland. 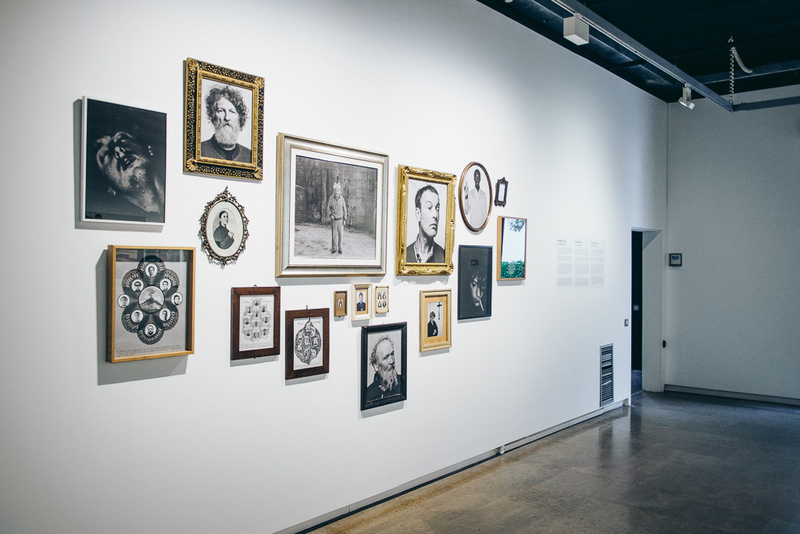 Addressing memory and perseverance, the work delivered in the exhibition the voice of a generation of parents and grandparents and reconstructed the journey seventy years later. 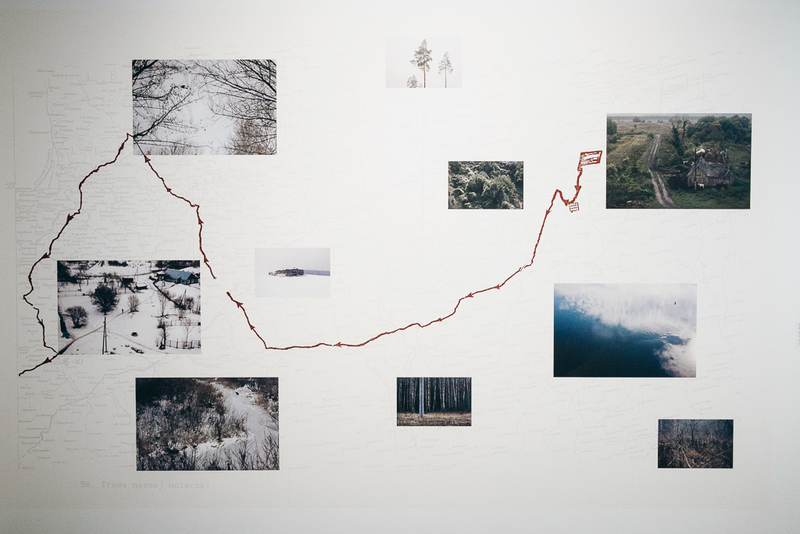 Michal’s work had been initially developed as a photographic series but, in this occassion we placed emphasis on the audiovisual testimony, drawing the map on the wall and inserting in it the contemporary landscapes. 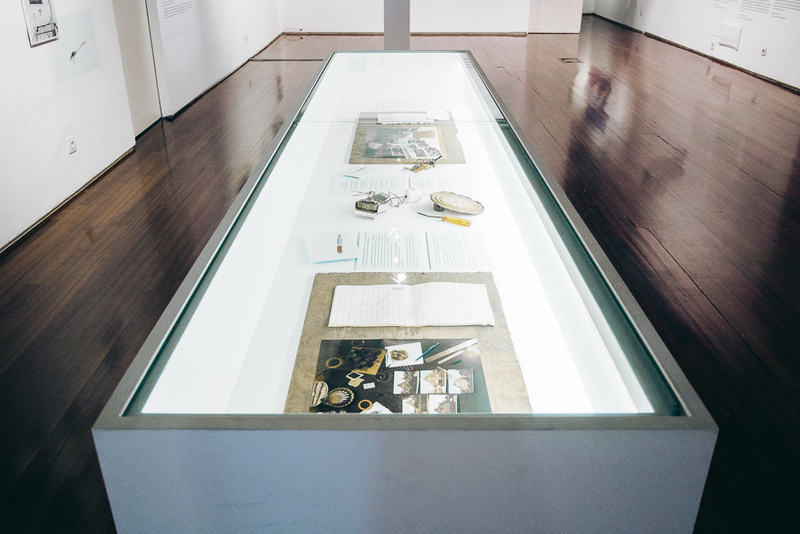 We also used a table with objects and documents to accompany the existent material. 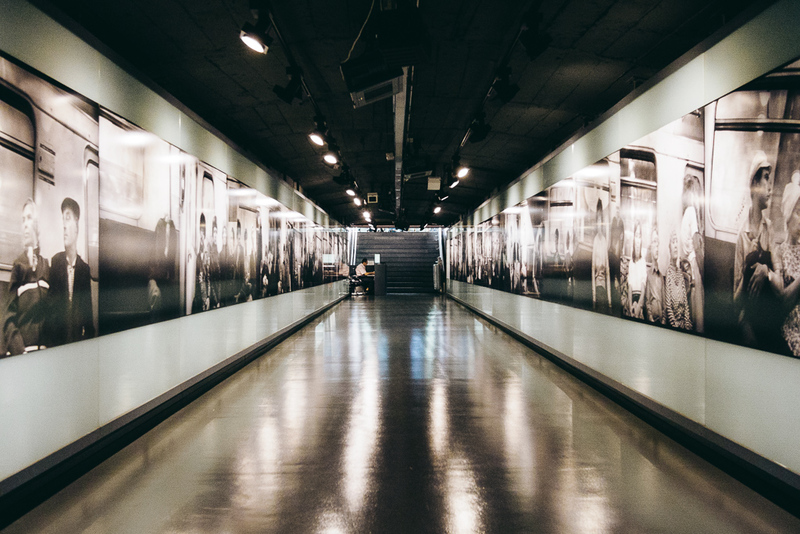 Our intention was to provide a vivid account while reinforcing a transgenerational dialogue, taking into account that our audience here were primarily families -especially children and elder people. 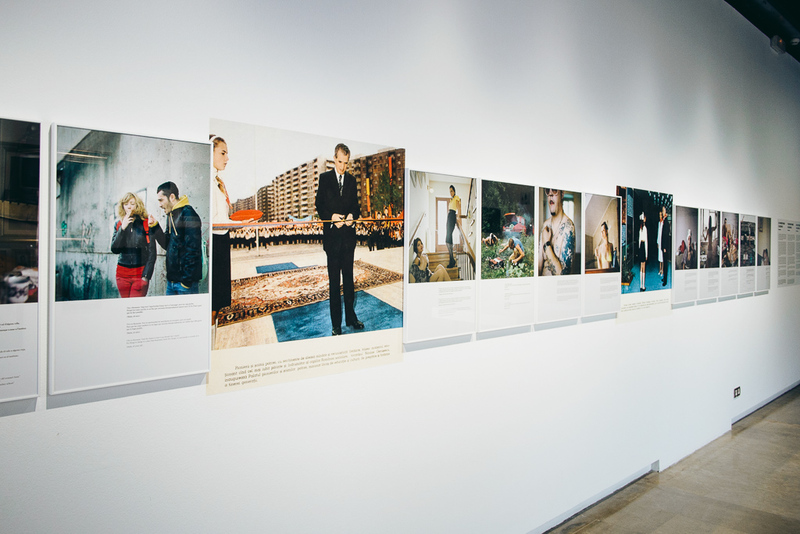 The third work in the exhibition narrative was Dana Popa’s “Our father Ceausescu”. 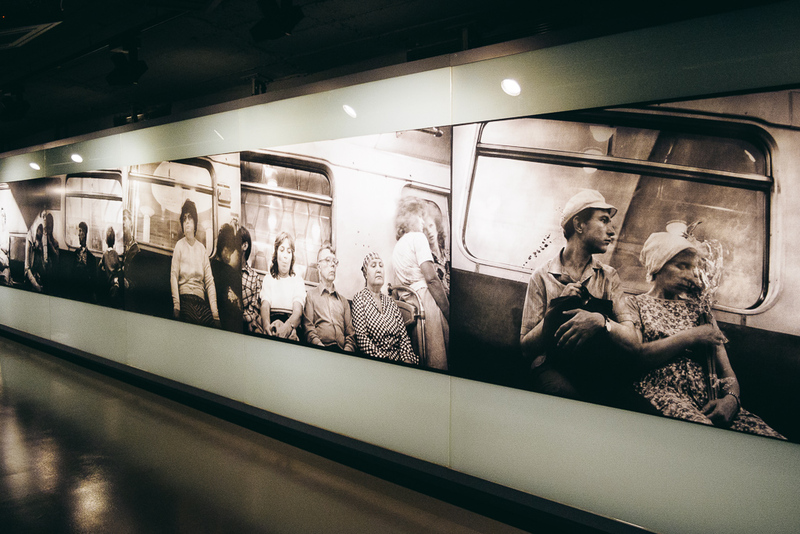 Whereas Iwanowski’s series pointed to immanence, mobility, and the fragility of being as an ever-lasting element of European identity, Popa’s work made allusion to a historical figure that remains vivid to the eyes of my generation. Ceausescu’s public execution in 1989 was retransmitted in television. Popa defines herself as one of his militant children; she was taking place in the parades of Rumania’s Communist Youths. 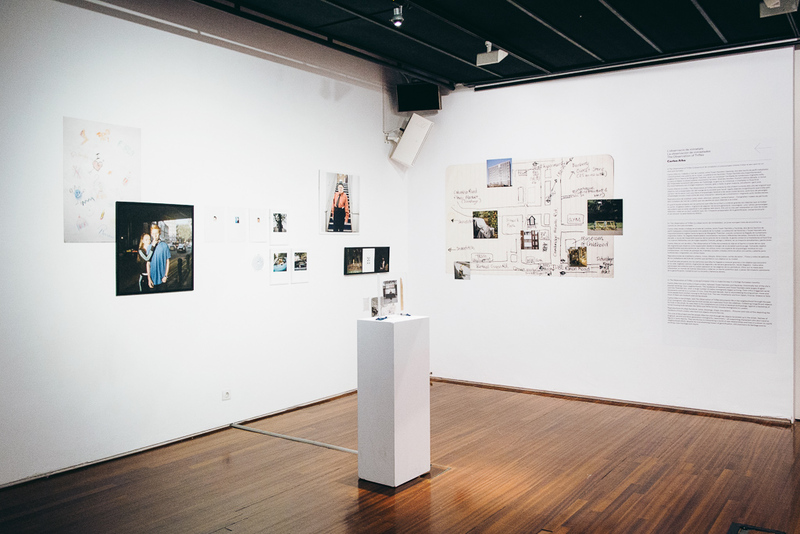 Her work recollects the pictures and testimonies of Rumania’s youngsters who were born after his death in the Post-Communist era, and talks about the Amnesia (voluntary and involuntary) of a generation that is completely disconnected from the past. 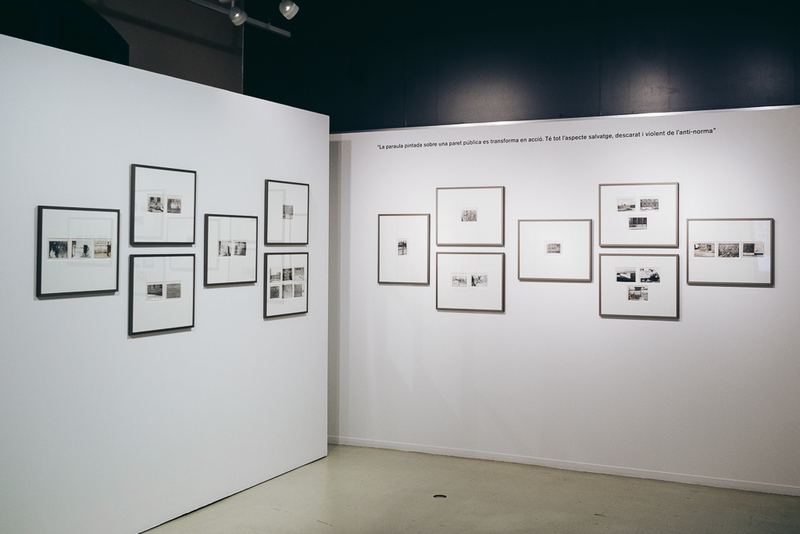 For this installation, we looked upon archival material –Dana recovered some propaganda posters and we worked embedding the propaganda poster format in the propaganda pieces and the contemporary work. 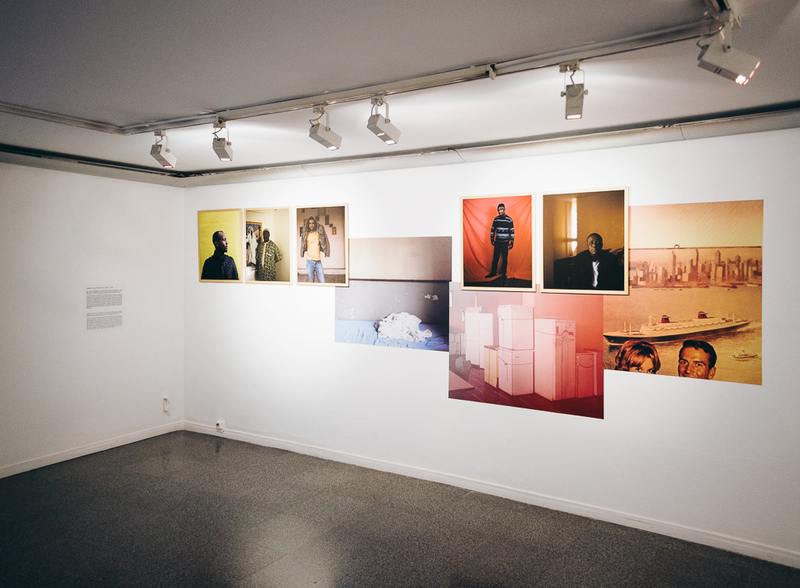 In this way the installation incorporated captions as a meta-commentary with its proper form on the use and application of the image. 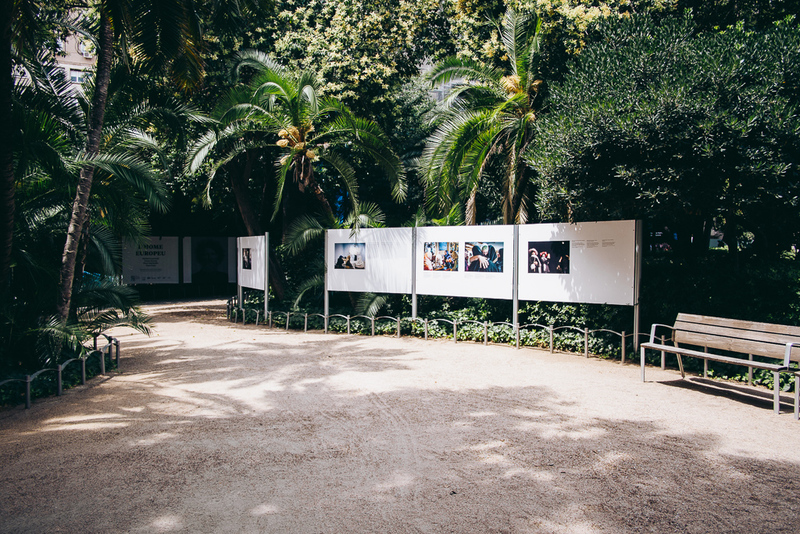 “Nous sommes français et musulmans”, the work of France Keyser was displayed outdoors in the garden area. 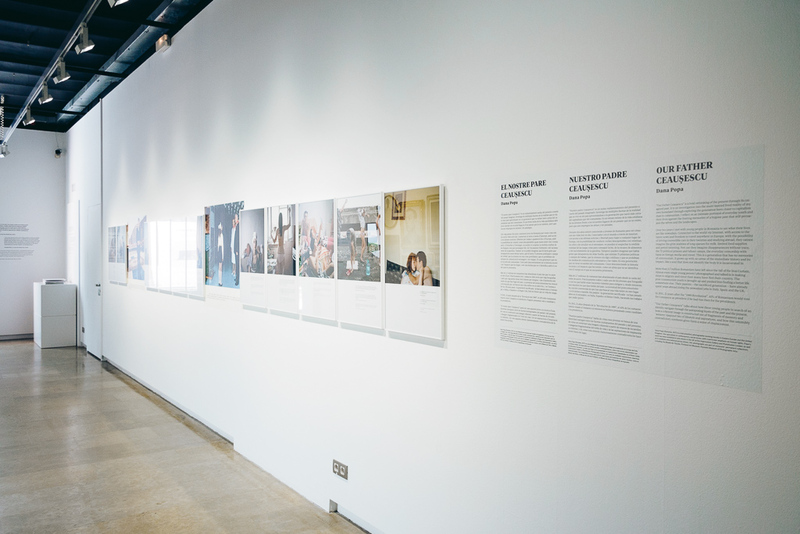 A rather straightforward photojournalistic essay on French citizens who are Muslims, the work displayed in form of a public installation invited against prejudices and Islamophobia. 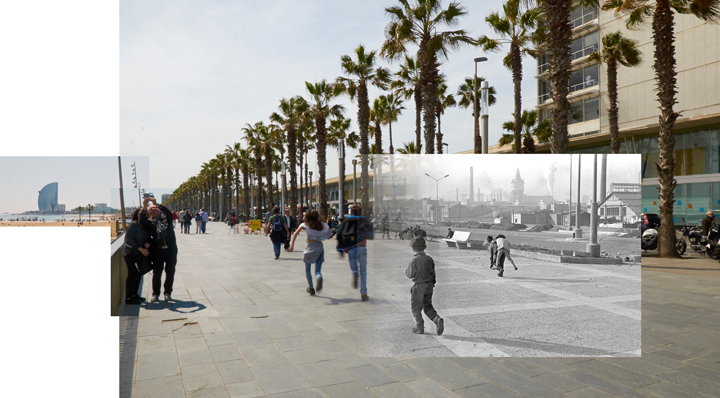 It was addressed to the thousands of visitors that this very central public spot of Barcelona receives on a daily basis. 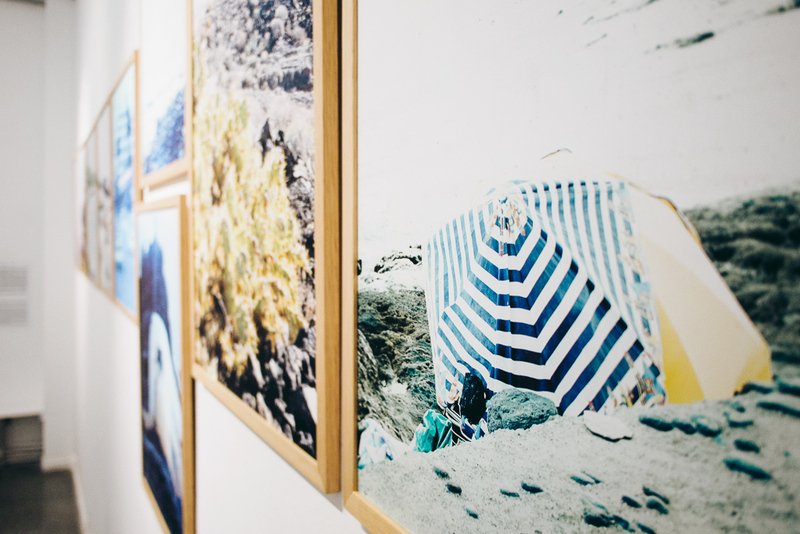 Keyser’s approach contributed to the exhibition the element of a contemporary European identity and a hint for the future -a liquid identity, an identity that enters in full contrast with the solid identity of characters in Martinello’s work. 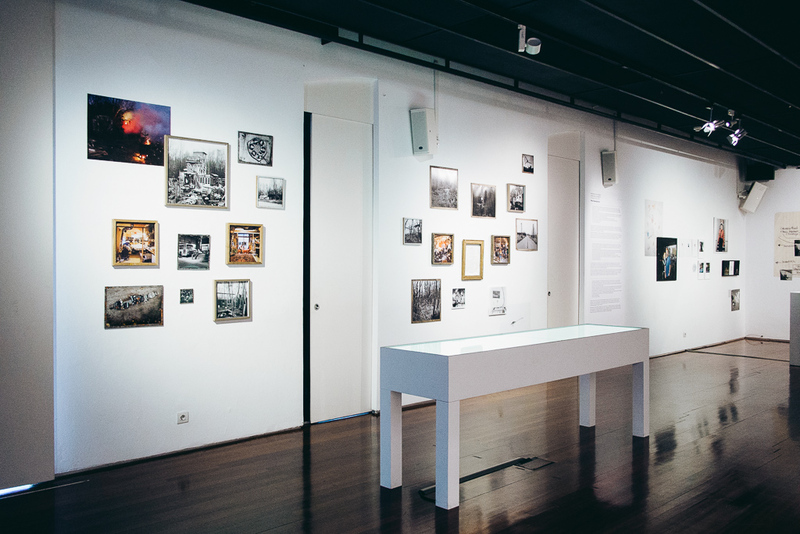 Two more elements accompanied the exhibition. 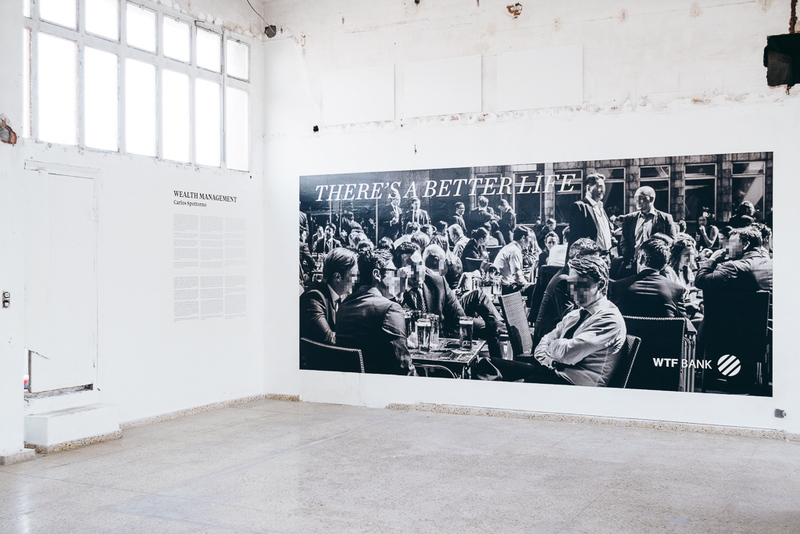 First, a series of quotes on the wall; secondly, we included a dossier with reproduced press material (covers and interiors from European newspapers and magazines dating from June 2015 to May 2016). 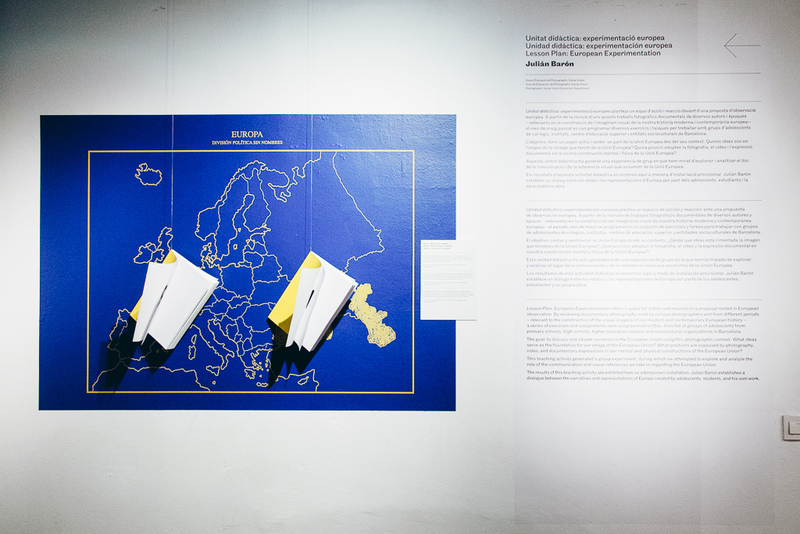 The idea was to highlight the transmutation of the idea of Europe during that last year through the eyes of the media, but also to point out the manipulative, populist and harsh use of news from the media and visual journalism today. 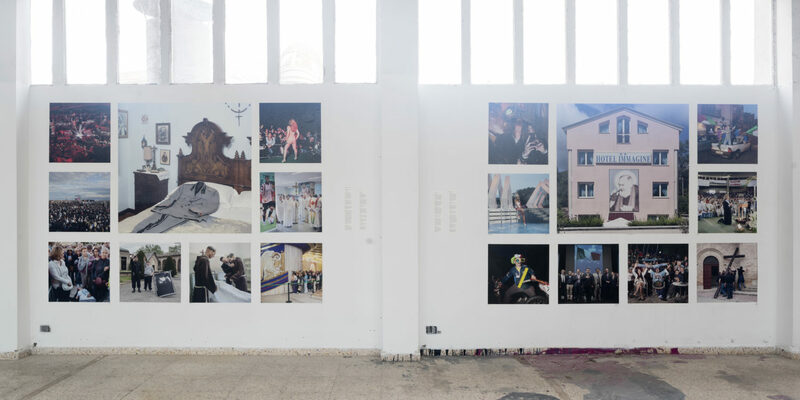 The portfolio was structured around some invisible categories: the Refugee crisis, the Greek referendum/crisis, terrorism, Angela Merkel, Brexit et al. We were updating it during the two months the Festival lasted. It became impossible not to. 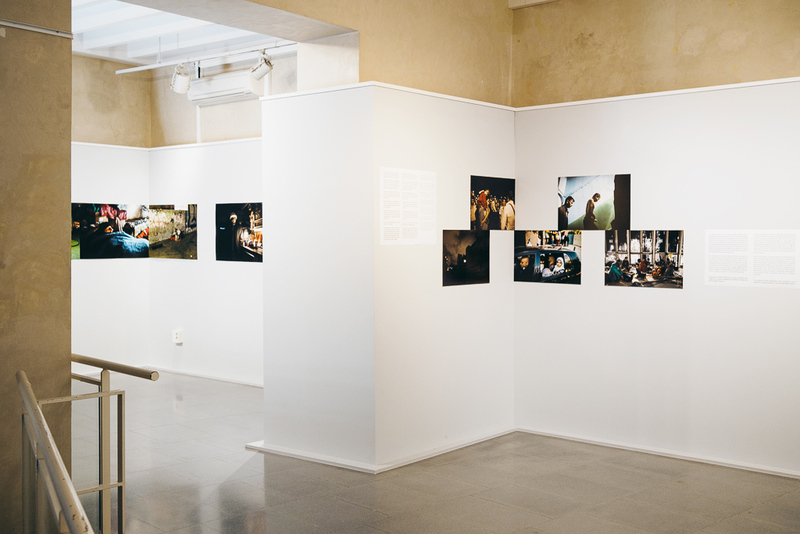 It was a precarious supplement of the exhibition but provided visitors with the link to associate what they were viewing on the wall with the everyday use and consumption of the image in the real mass world. 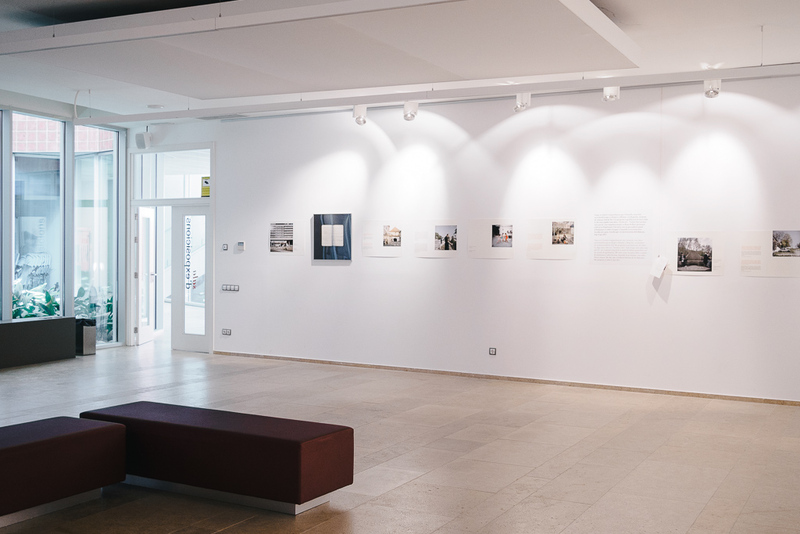 Artworks: © Daniel Mayrit, Josep Maria de Llobet, Simone Donati, Carlos Spottorno, Borut Krajnc / Installation views: © Courtesy Oscar Ciutat / Josep Maria de Llobet. 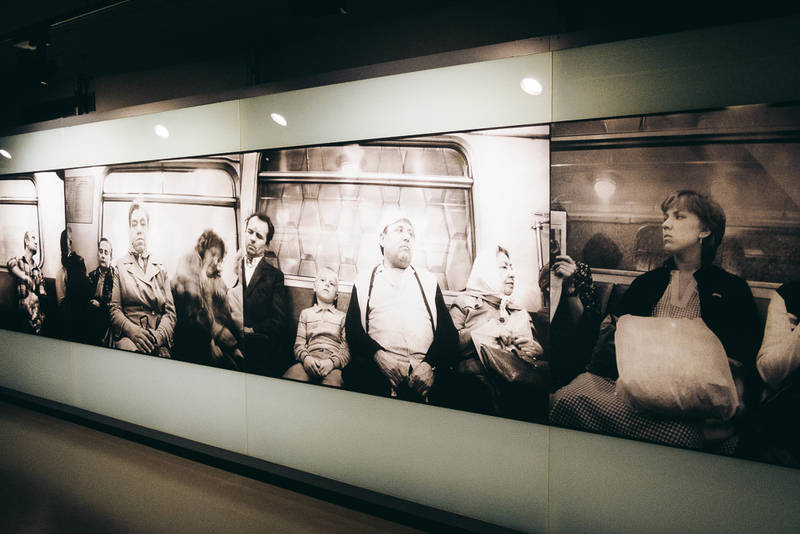 Short exhibition statement: Euroscepticism is a growing trend nowadays. 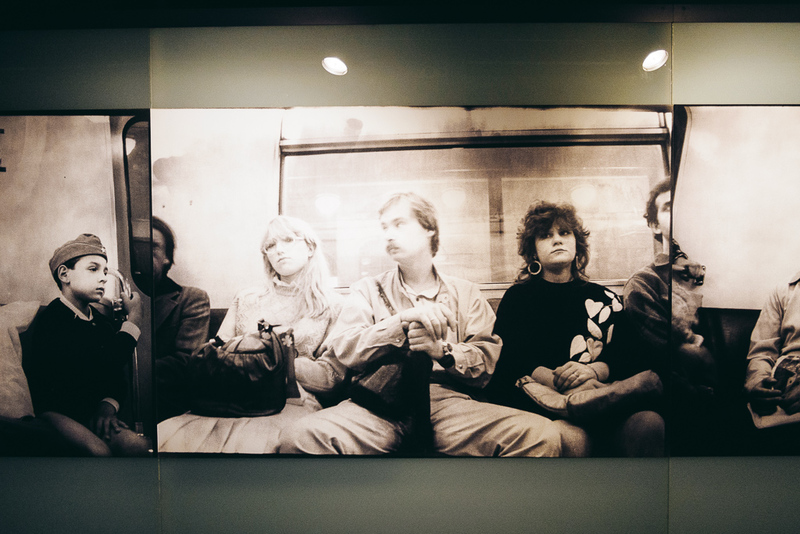 In 1989 the fall of the Iron Curtain heralded the victory of democracy in Europe. But in the wake of a financial collapse and devastating austerity plans, it is not democracy but neoliberal capitalism that has proven to be the winner. 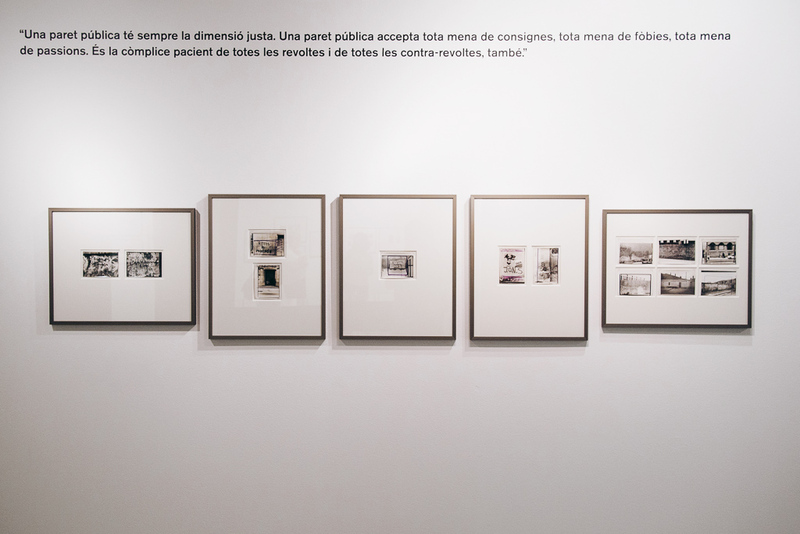 The crisis has brought to the surface a series of malformations of the political system. Politics and economics are more closely linked than ever today, and our institutions are untrusted and lack prestige. Also, given the lack of perspective and of responsible, constructive policies, both governmental and community leaders are moving Europe away from its own project. Putting their money on micro-interests and the laws of the market, they are applying local, populist solutions lacking in solidarity. 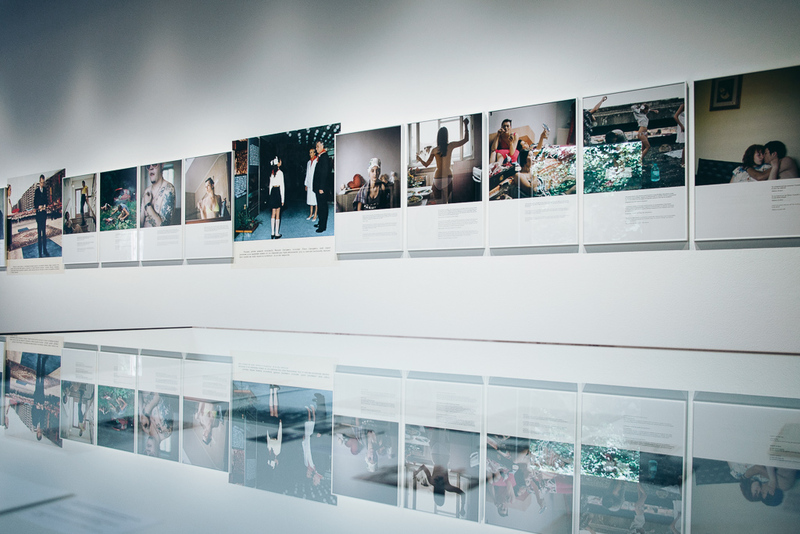 Curatorial approach: The second chapter turned into the most guerrilla expression of the trilogy. 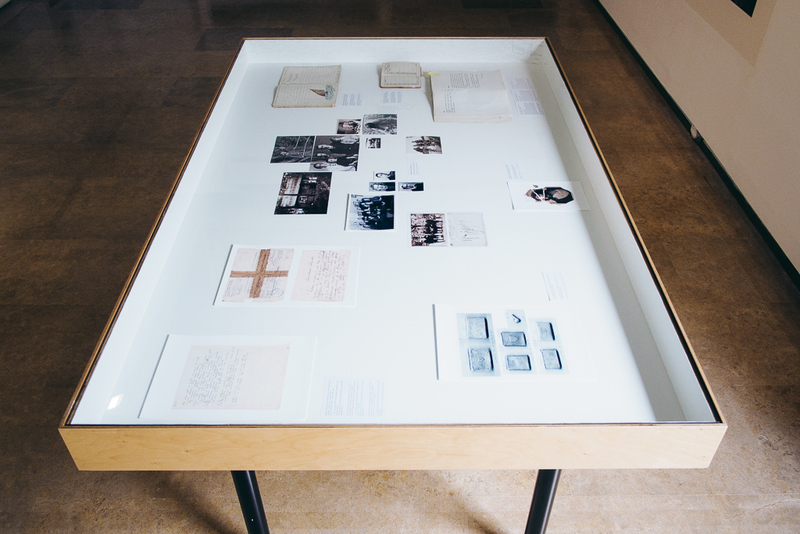 Invoking Thomas Man and his homonym book published in 1918 after WW1, wherein he advocated the duty of the intellectual amidst the ashes of Germany and Europe the show, the exhibition addressed the lack of faith to European political and financial institutions and values preserving its critical distance towards both the Right and the Left. 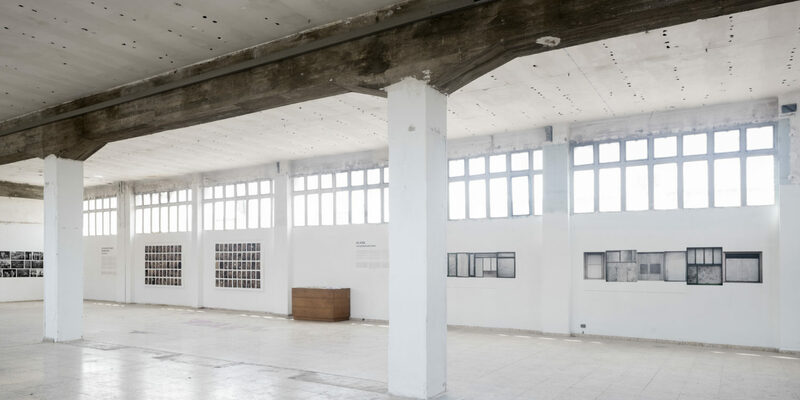 We worked at La Nau Bostik, a huge industrial complex at the outskirts of Barcelona that is currently administrated by a local initiative. 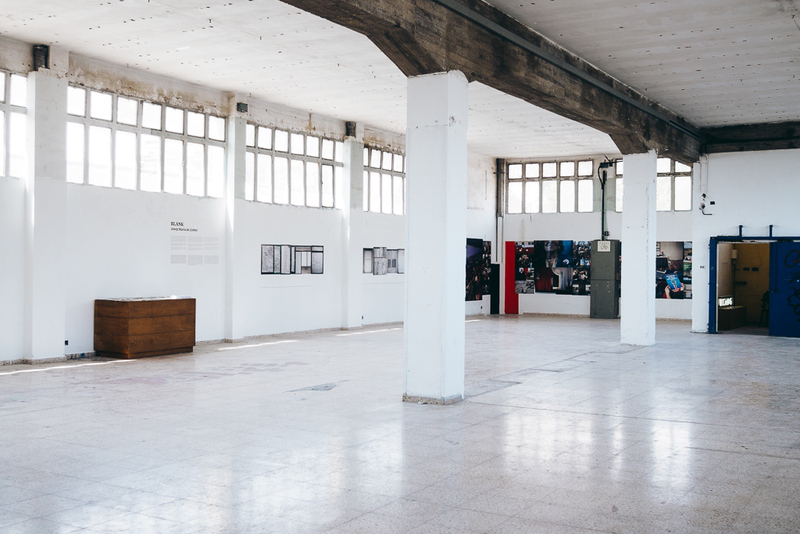 Currently regenerated, re-appropriated by neighbours, locals and artists, as a platform of collective activist engagement, the space has served as the perfect backdrop for our work. 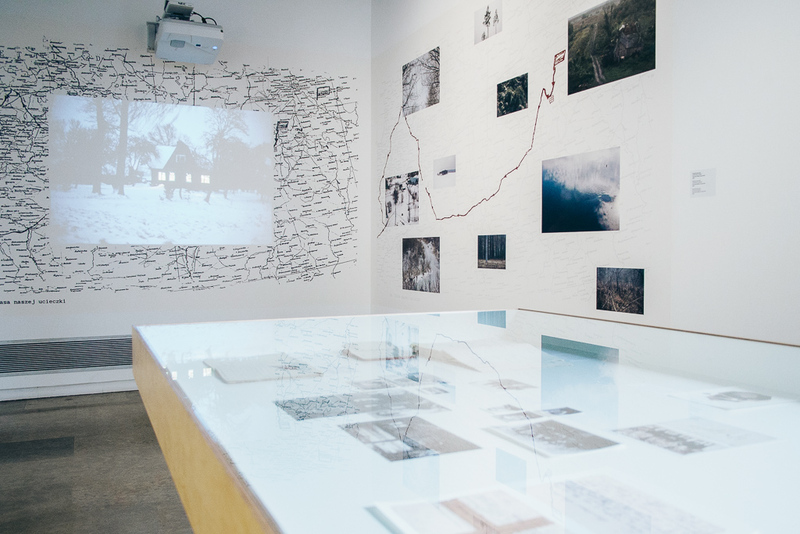 The majority of the projects was shown in ephemeral format: wallpaper, the pages of original books or calendars, and various printed format have been used as media of reinterpretation. Similarly to the first chapter, it was accompanied by a selection of press material. 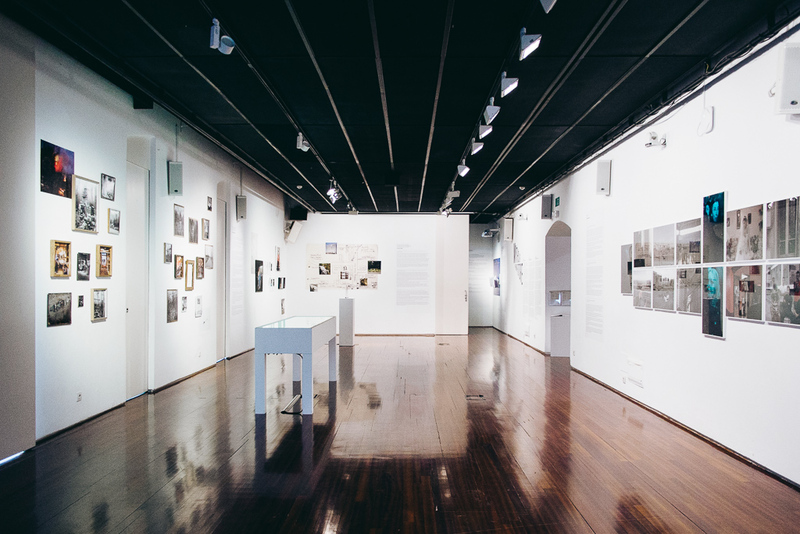 The aim was to provide a coherent and congruent (aesthetic and political) creative convergence of the forms in this space. 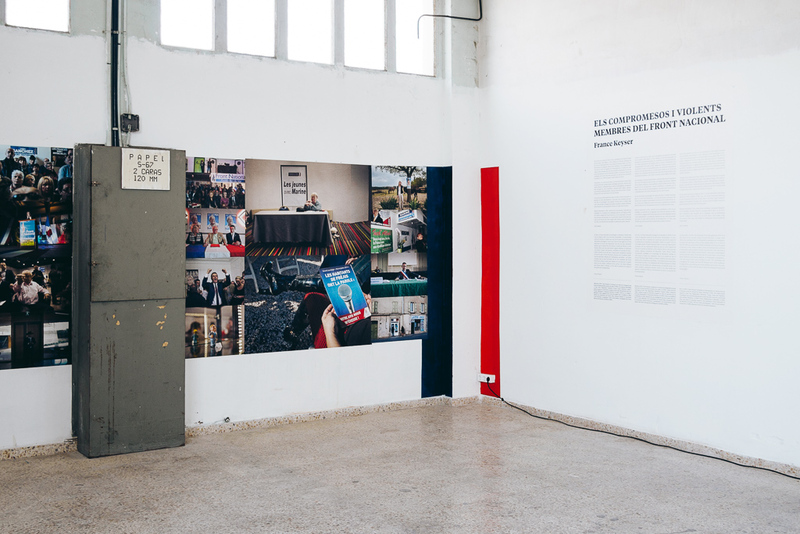 The half part of the room hosted the folklore the political scene in European countries such as Italy and Slovenia (Borut Krajnc, Simone Donati, France Keyser), while the rest was dedicated to more the codes and ethos of the financial system that surrounds us (Carlos Spottorno, Josep Maria de Llobet, Daniel Mayrit). 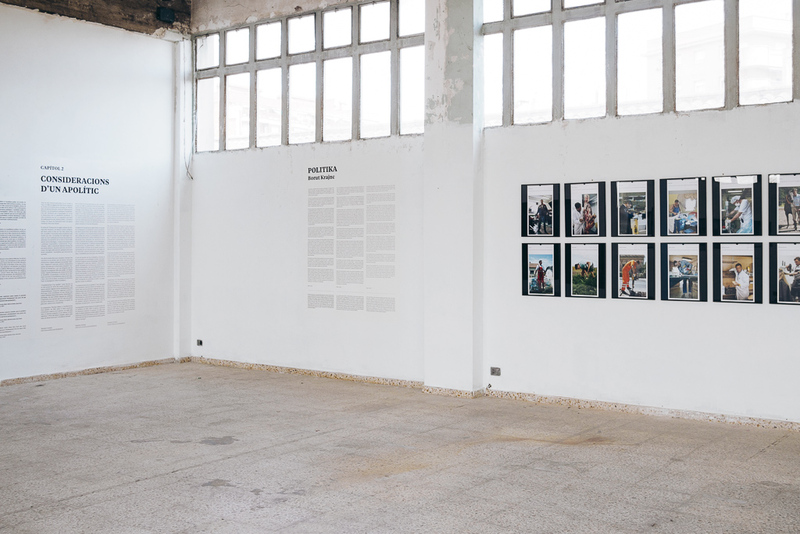 Artworks: © Nico Baumgarten, Carlos Alba, Arnau Bach, Julián Barón & students / Installation views: © Courtesy Oscar Ciutat. 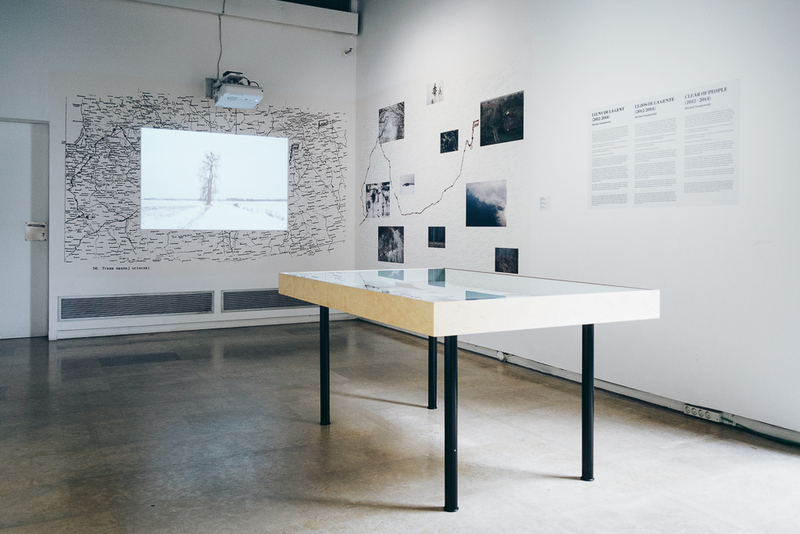 Short exhibition statement: Taking its title from J. G. Ballard’s novel of the same name, this collective exhibition presents different possible ways of being and doing for our immediate future. It constitutes Chapter 3 of Europe: Lost in Translation and serves as the colophon of the festival. 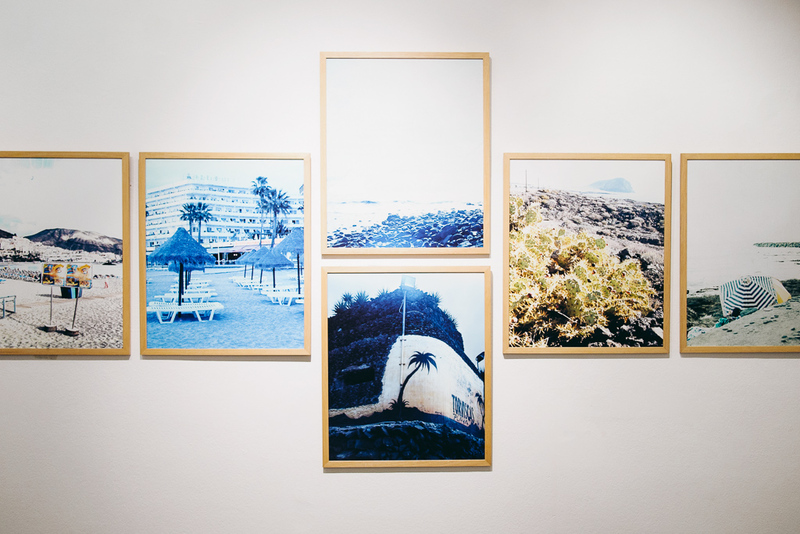 On a continent beset by fears and doubts, in the face of constant changes to the social model and an uncertain future, four photographers have conducted a constructive and critical transnational reflection on the utopias and dystopias of our common home. 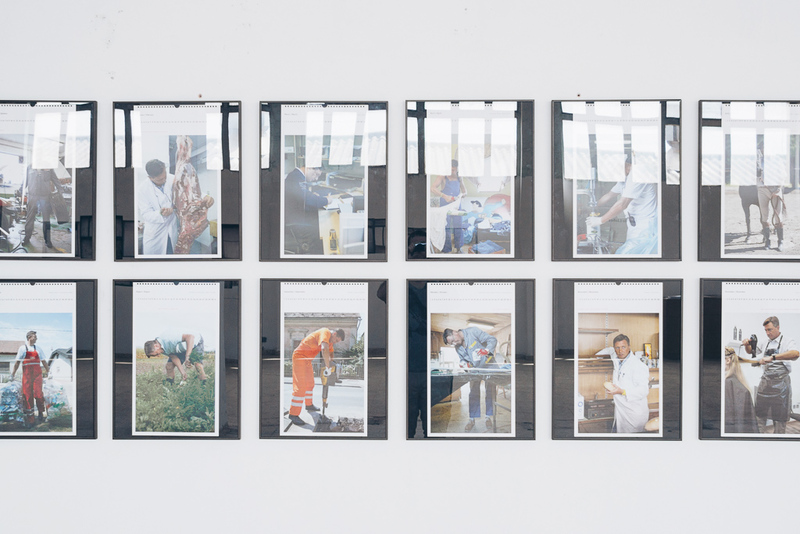 Their work poses the following questions: What options do we have for constructing new models of individual and collective life? If Europe is lost, where must we put the accent in order to foster understanding and a convergence of visions? What values are to be salvaged? 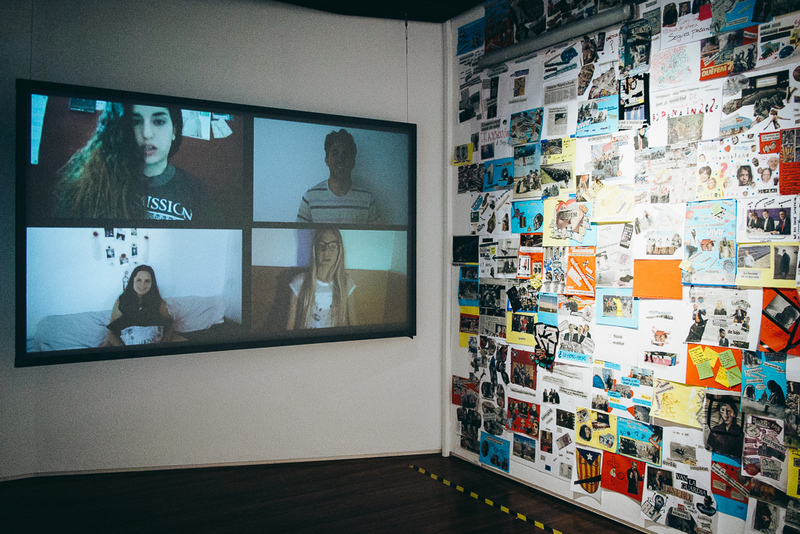 The results of an educational segment―“Let’s Experience Europe”, to be carried out among groups of adolescents―complement this challenge to project the idea of Europe and what it feels like to be European through the eyes of its future citizens. 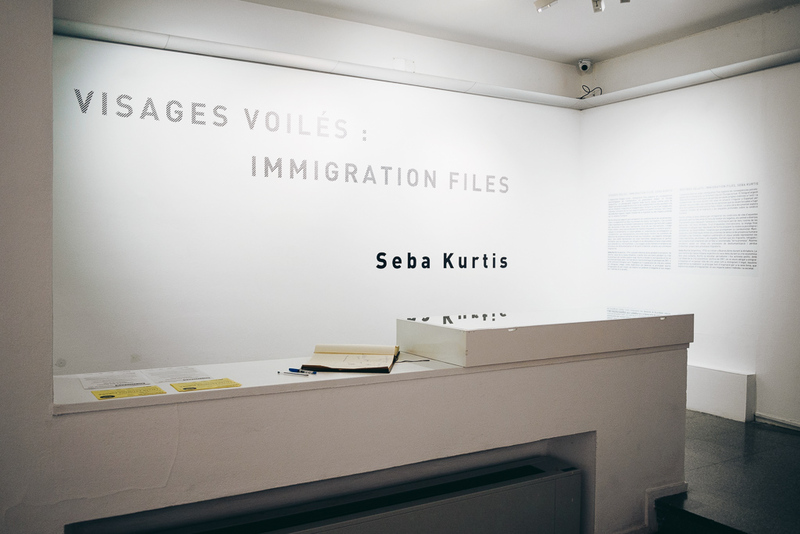 Visages volées: Immigration Files: Seba Kurtis, curated by Natasha Christia. 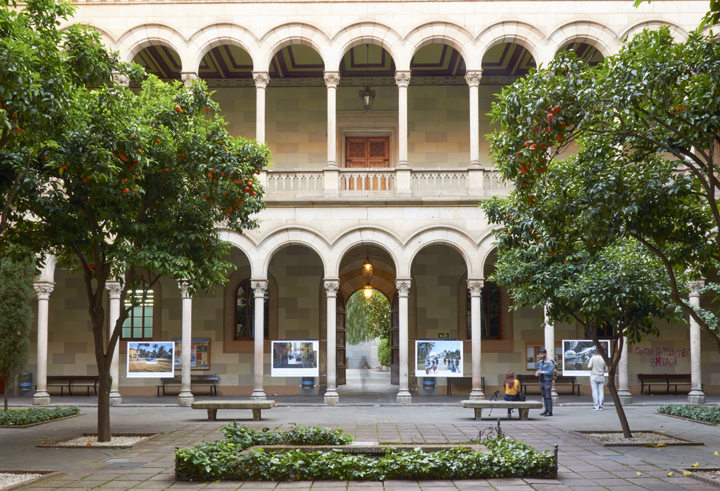 French Institute, Barcelona, 31.05.16 > 23.06.16. 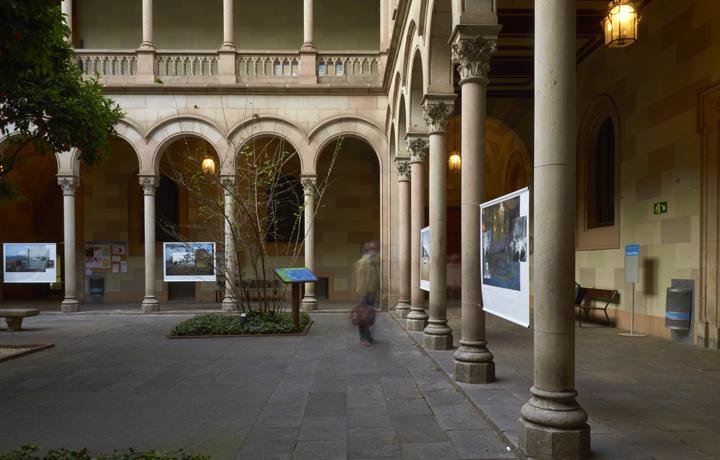 Artworks: © Seba Kurtis / Installation views: © Courtesy Oscar Ciutat. 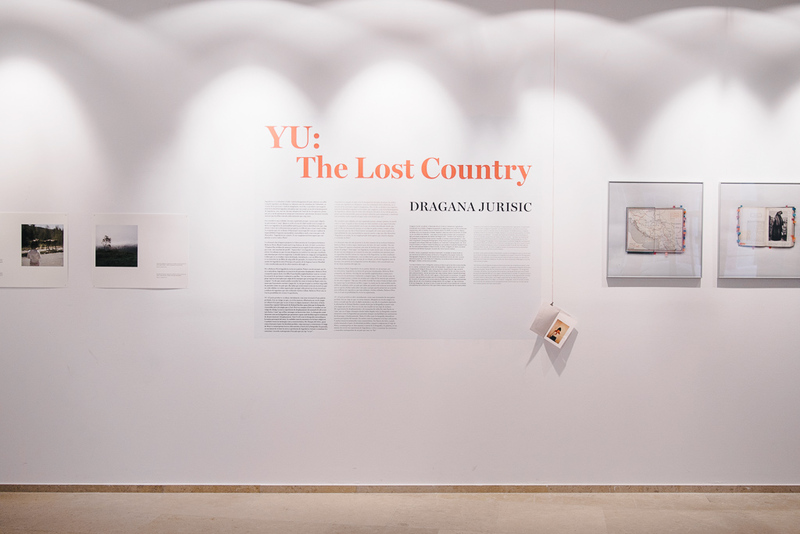 YU: The Lost Country: Dragana Jurisic, curated by Natasha Christia. 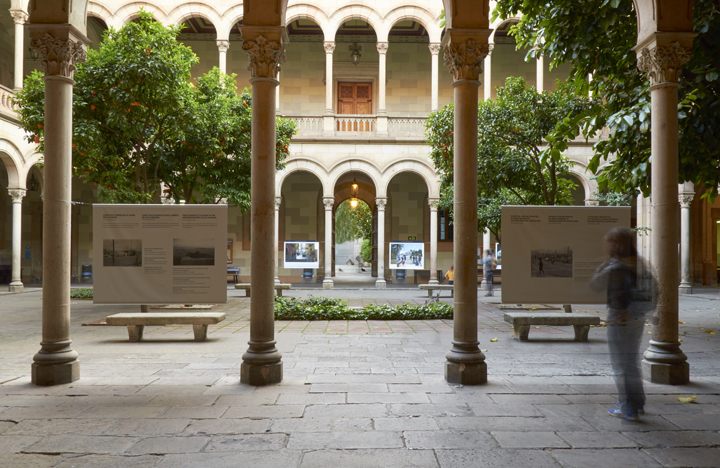 Biblioteca Agustí Centelles, Barcelona, 19.05.16 > 16.06.16. 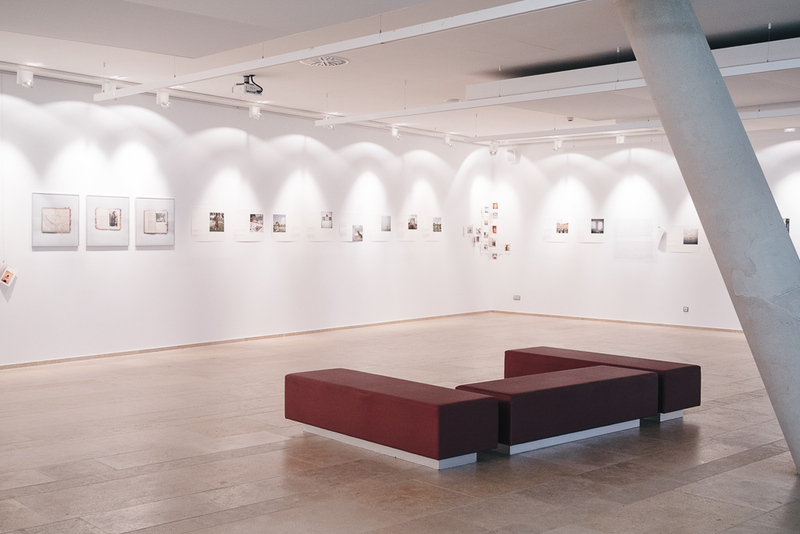 Artworks: © Dragana Jurisic / Installation views: © Courtesy Oscar Ciutat. 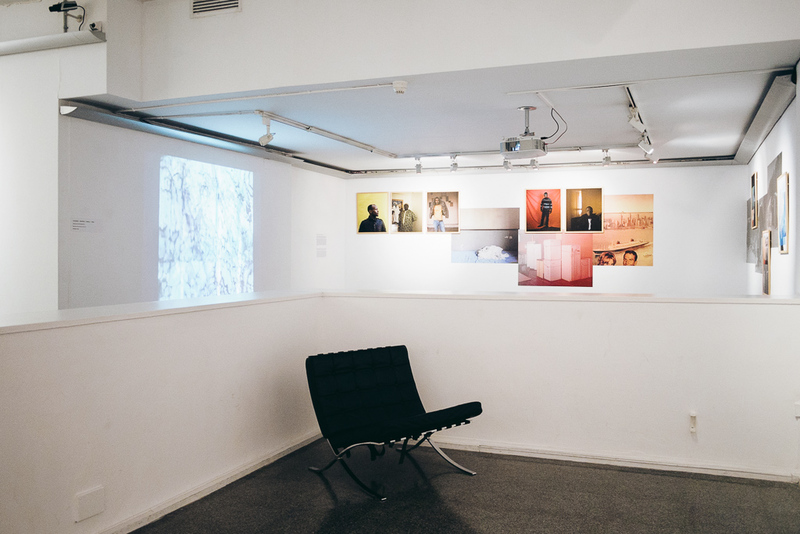 We have come so far: Stories from Greece: Dimitris Michalakis, Dimitris Rapakousis, Orestis Seferoglou, curated by Natasha Christia. 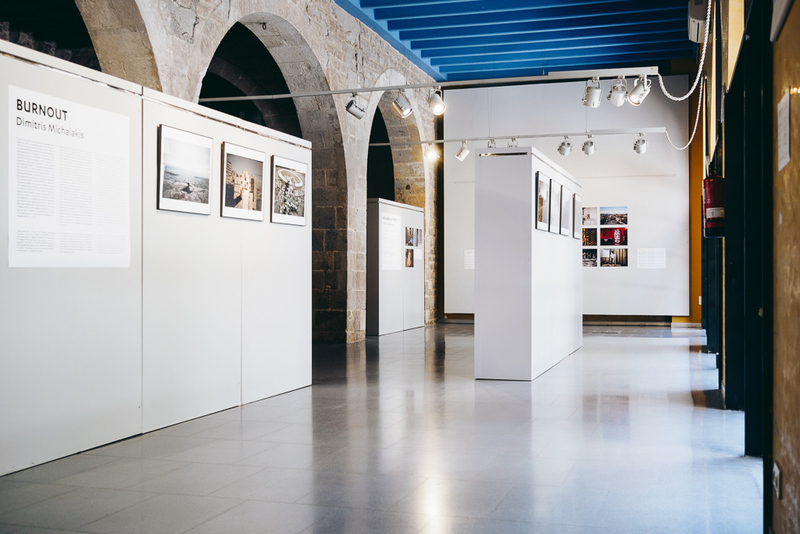 Pati Llimona, Barcelona, 10.06.16 > 08.09.16. 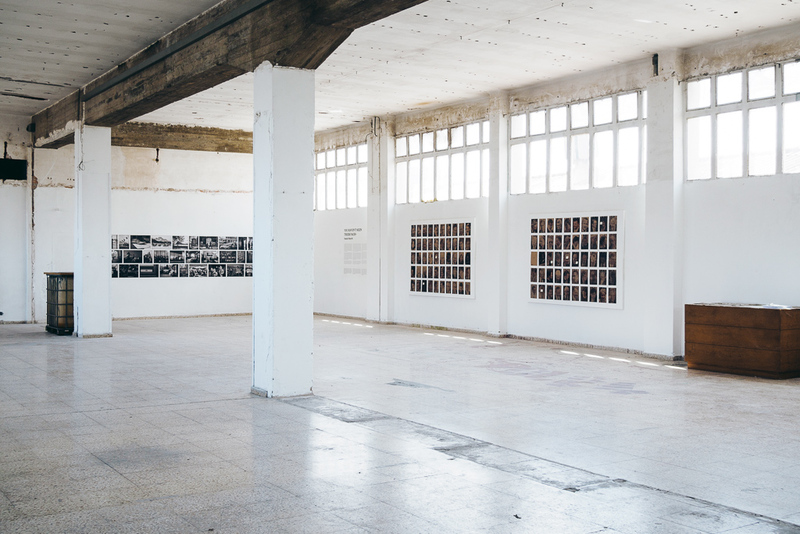 Artworks: © Dimitris Michalakis, Dimitris Rapakousis, Orestis Seferoglou / Installation views: © Courtesy Oscar Ciutat. 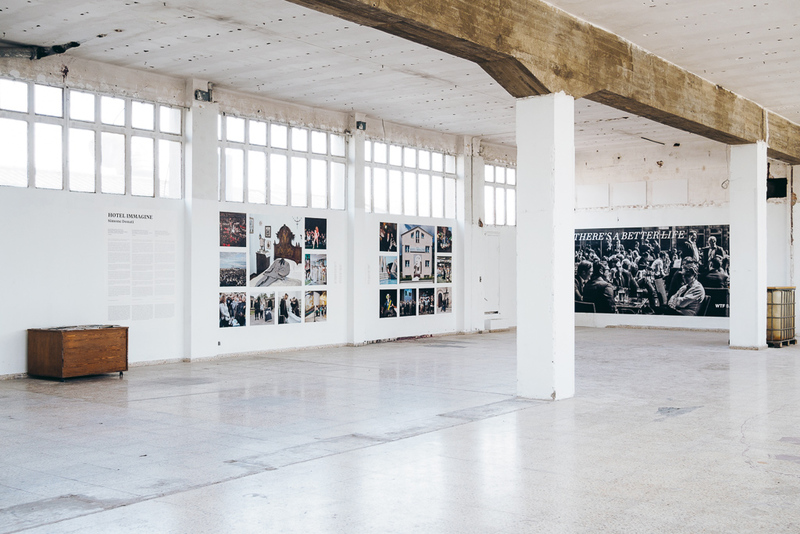 Short exhibition statement: Events in Greece have monopolized the front pages of newspapers in recent years. The country is a clear example of the devastating consequences of the austerity measures that have dismantled economic and social infrastructures. Greece is also one of the gateways to the European Union. Its strategic geographical location makes it the eastern border of the EU, responsible for managing the flood of migrants and refugees wishing to push on further west. 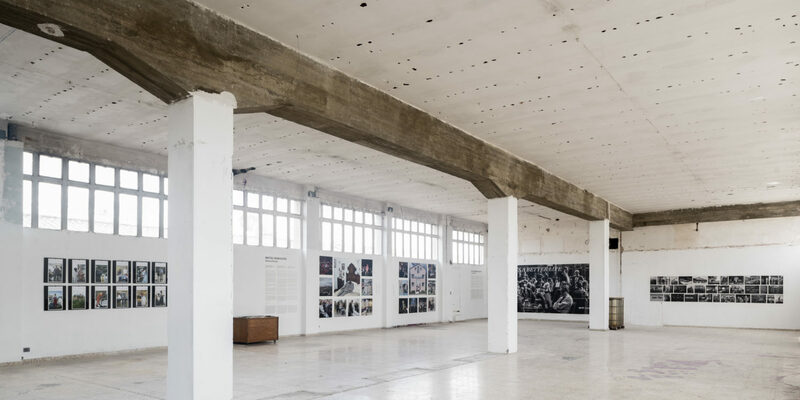 We Have Come This Far gathers the work of three Greek photographers on the current situation of their country. 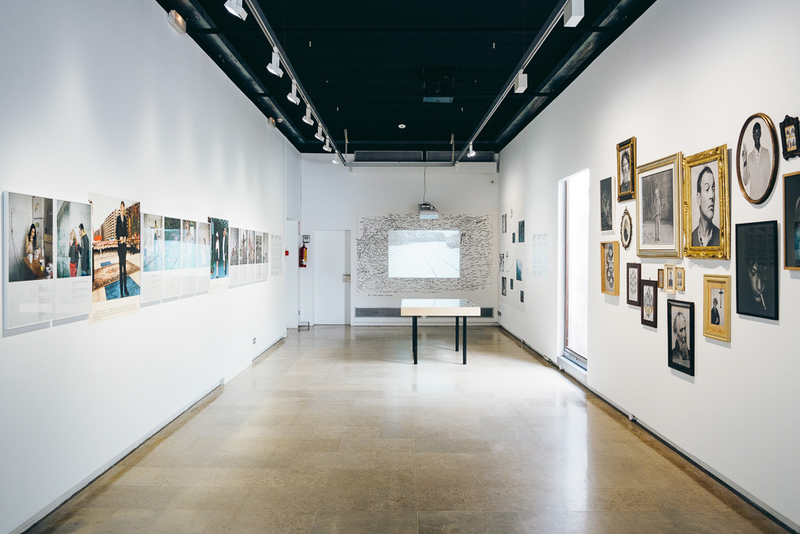 From Wall to Wall, curated by Jordi Calafell and Natasha Christia. 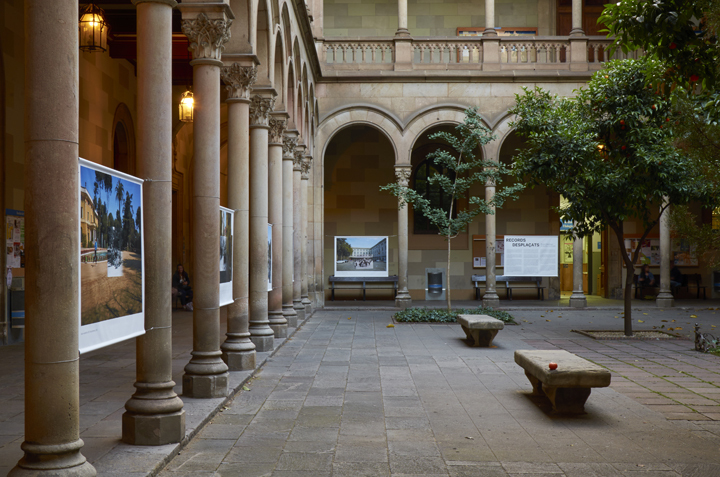 Barcelona Photographic Archive, 05.06.16 > 12.09.16. 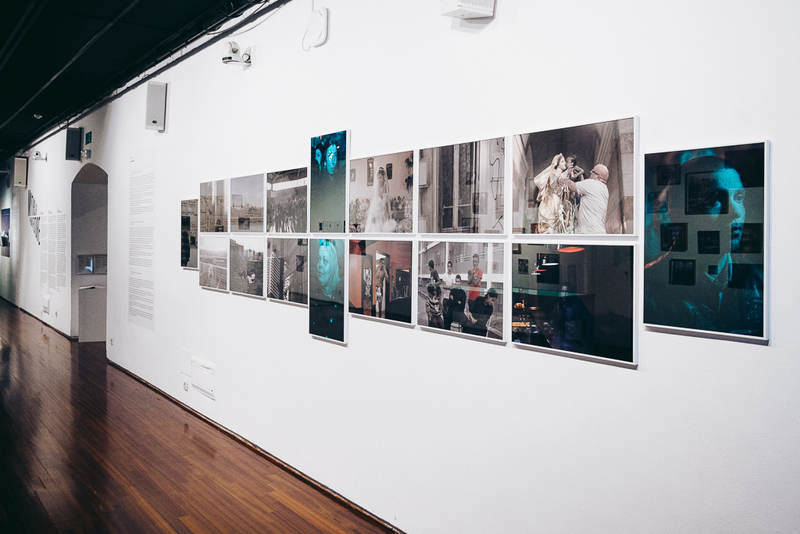 Installation views: © Courtesy Oscar Ciutat. 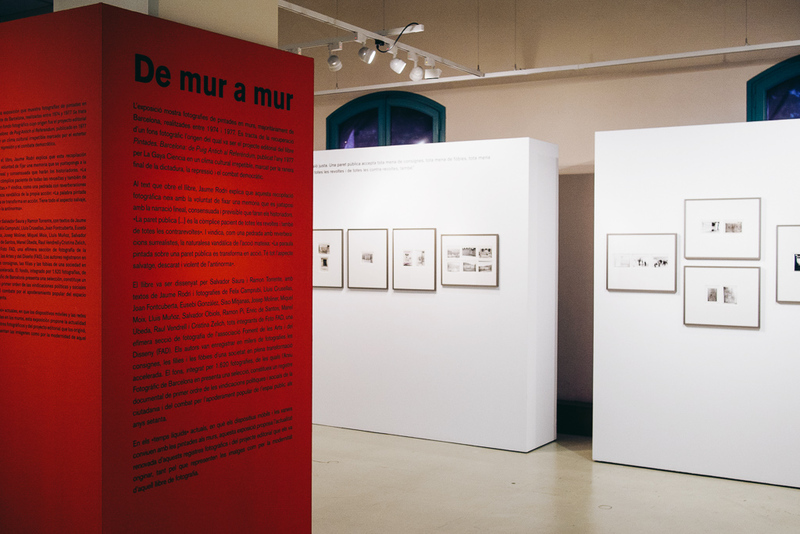 Short exhibition statement: From 1974 to 1977, Foto FAD worked to make a record of street graffiti in Barcelona, compiling a series of more than 6,000 images ranging from political slogans to what could be found on the walls of public restrooms. When Franco died, they continued their task into the period of the Transition. In 1977 the material was published by La Gaia Ciencia under the title Pintades Pintadas: De Puig Antich al Referéndum. 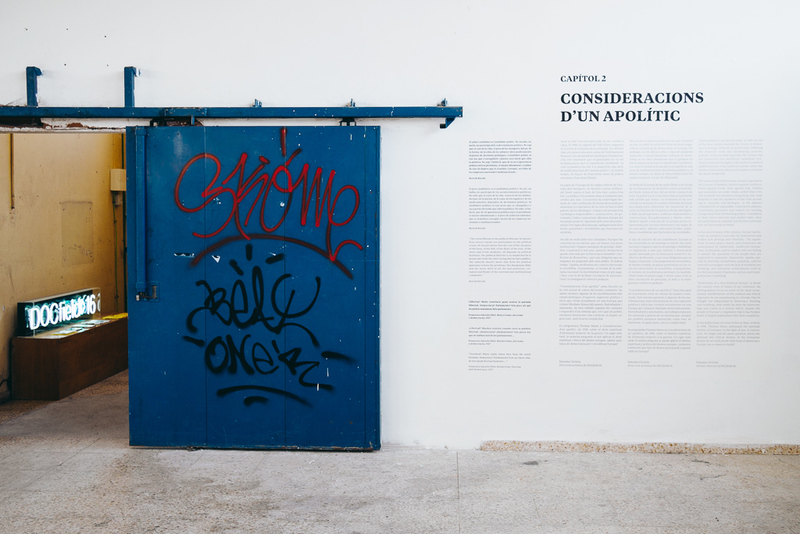 Although the project was originally intended to be more complex and wider in scope, the book covered graffiti produced between the date of the execution of Salvador Puig Antich in March of 1974 and the referendum of December 1976. 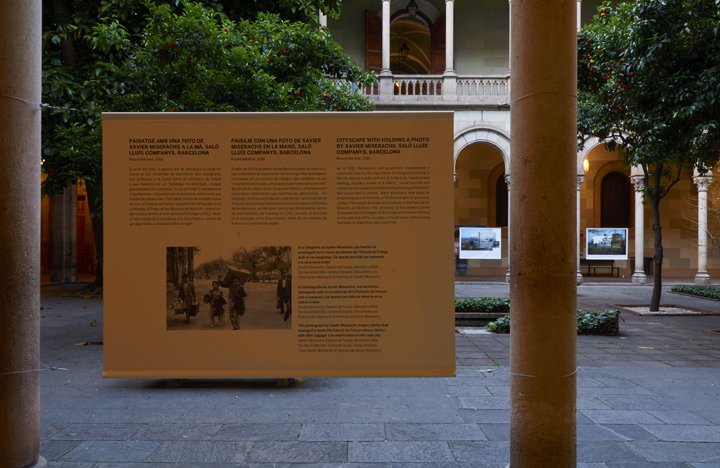 This exhibition draws on that book project and on other relevant material from the Arxiu Fotogràfic, presenting images determined by the “political emergency which dominates public attention today”, more topical than ever in our present circumstances. 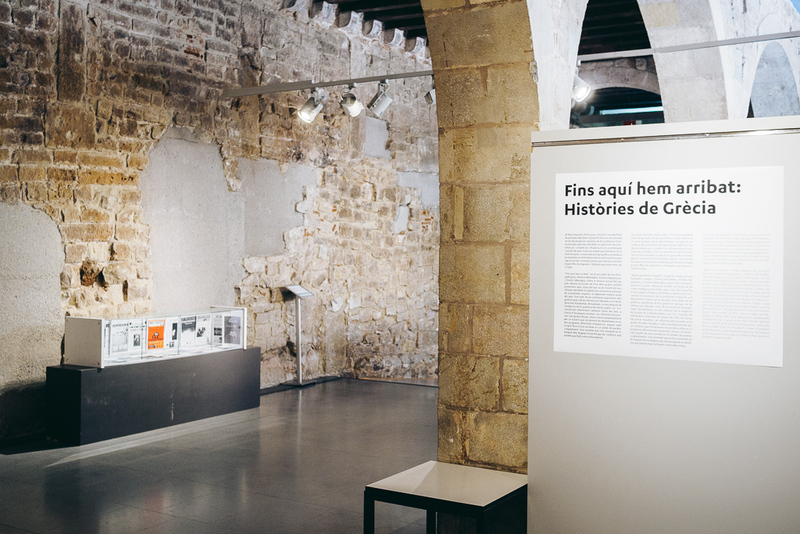 Exhibition based on the book Pintades Pintadas: De Puig Antich al Referéndum (Barcelona: La Gaia Ciencia, 1977). 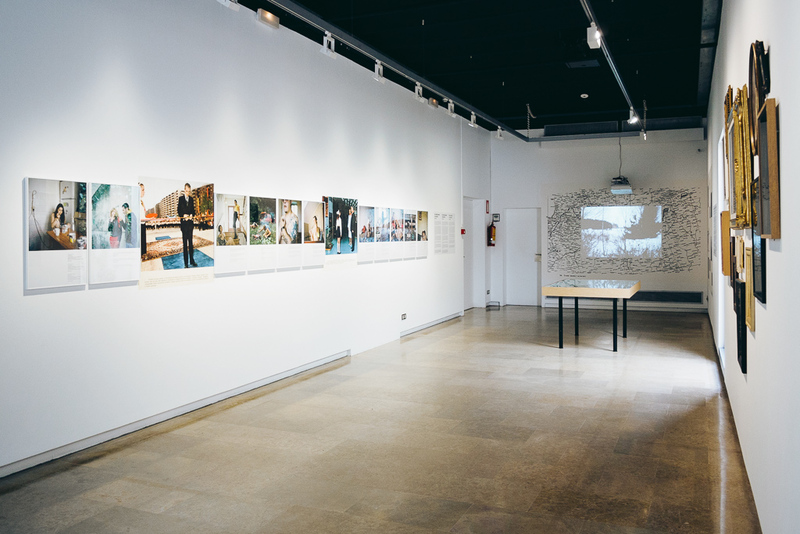 Photographs: Felix Camprubí, Lluís Crusellas, Joan Fontcuberta, Eusebi Gonzàlez, Siso Mitjanas, Josep Moliner, Miquel Moix, Lluís Muñoz, Salvador Obiols, Ramon Pi, Enric de Santos, Manel Úbeda, Raul Vendrell, Cristina Zelich. 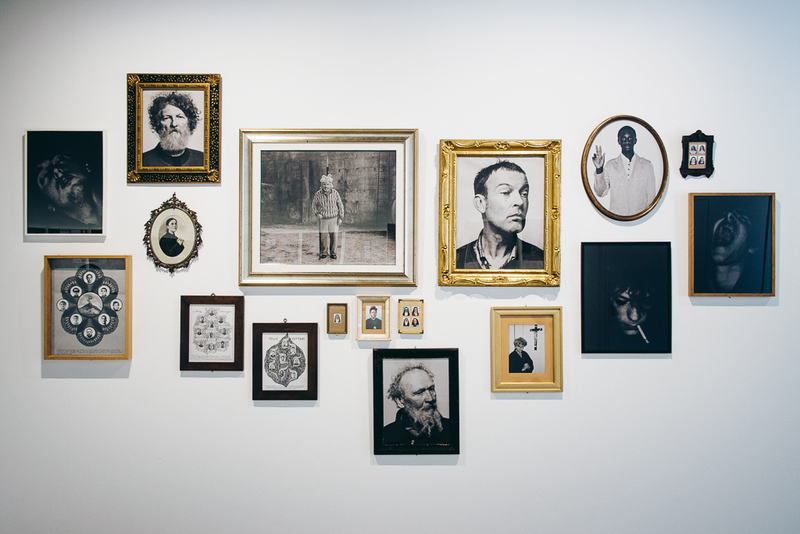 M: Misha Pedan, curated by Natasha Christia. 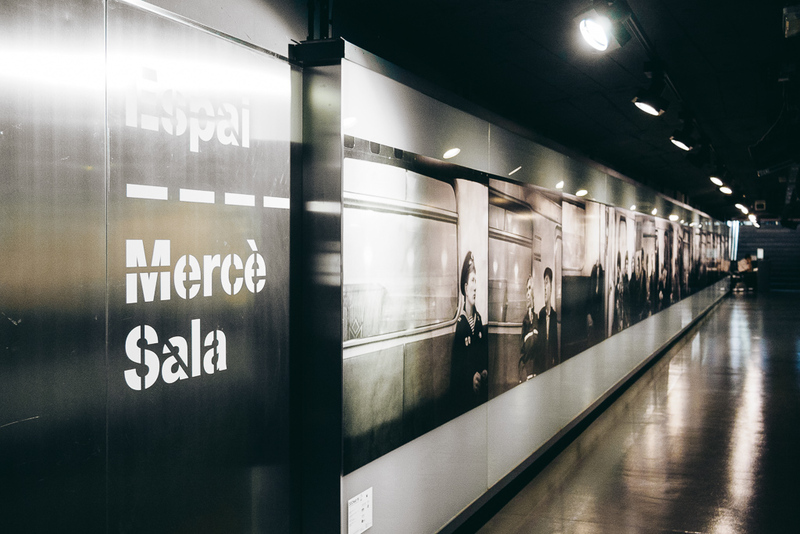 Sala Mercé, Barcelona Metro, 18.05.16 > 02.09.16. 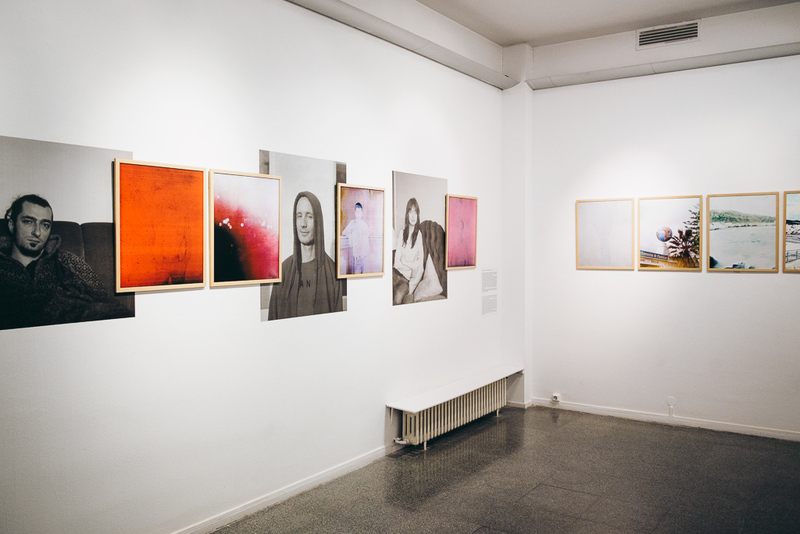 Artworks: © Misha Pedan / Installation views: © Courtesy Oscar Ciutat. 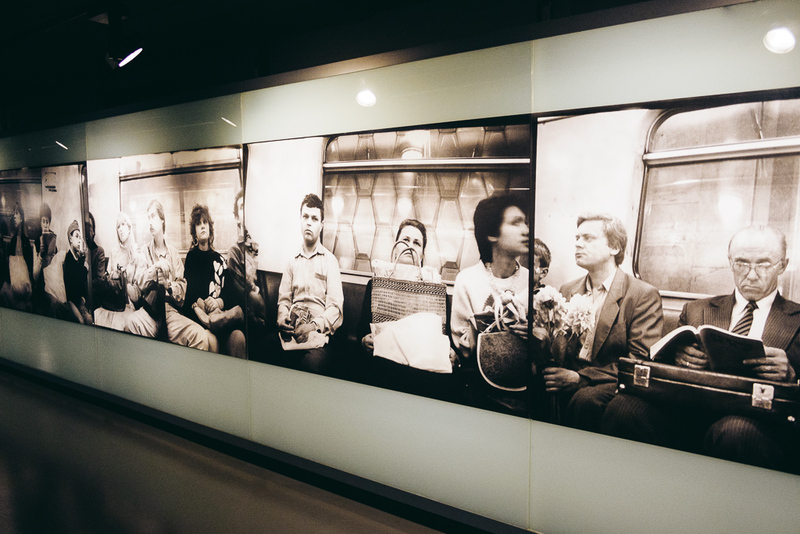 Short exhibition statement: M is Metro. 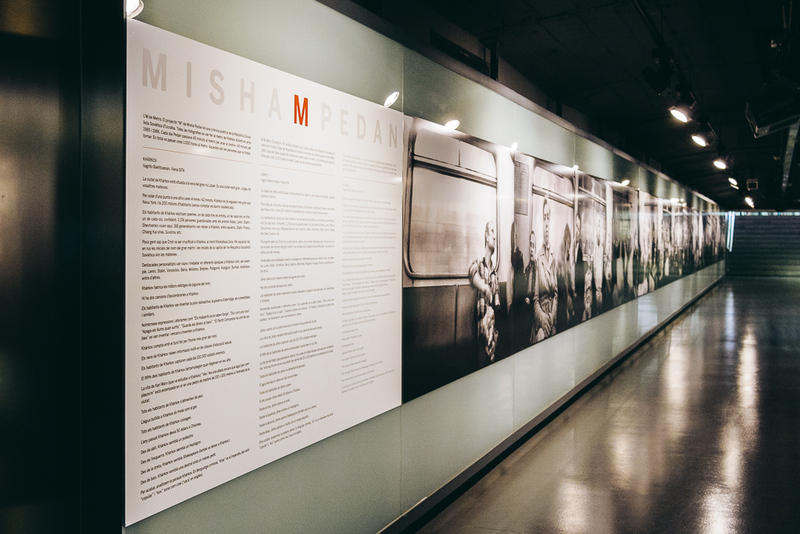 M, as in Misha Pedan, is a poetic chronicle of the Soviet Socialist Republic of the Ukraine. 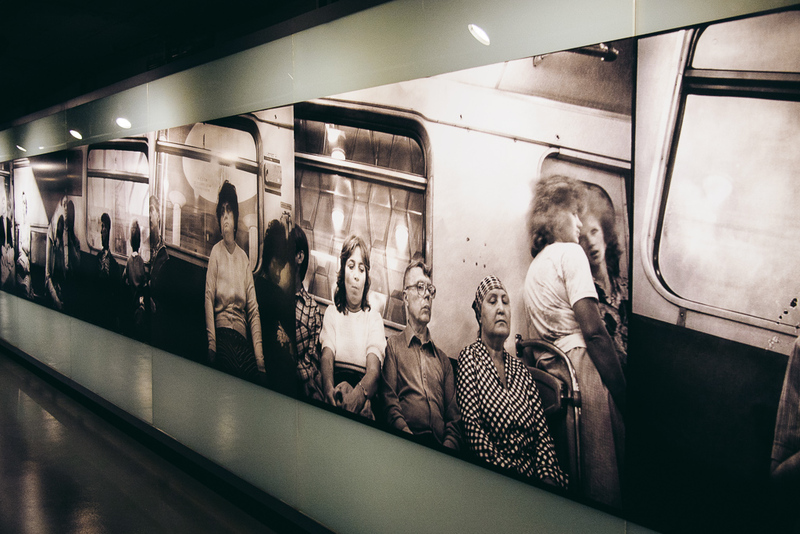 All of the photographs were taken surreptitiously by the author during his trips on the Kharkiv subway in 1985 and 1986. 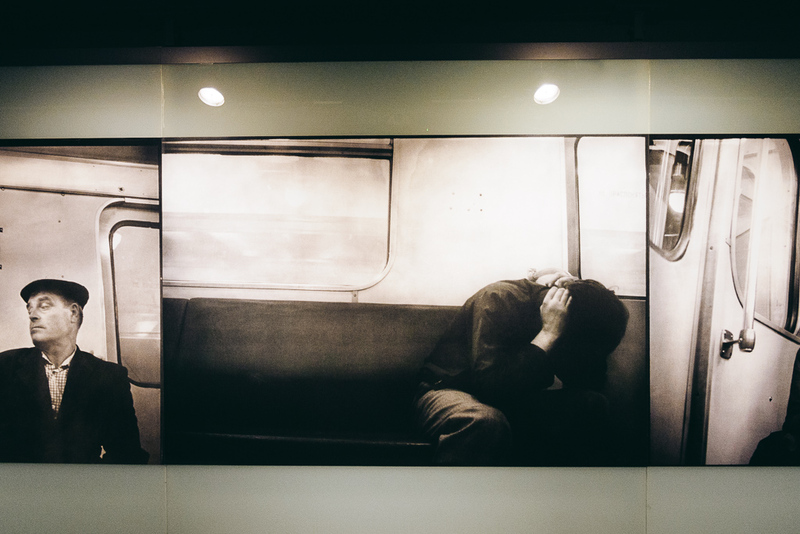 Every day Pedan would ride for forty-five minutes to the city and back, spending around a thousand hours in total on the subway. These are the people he encountered. 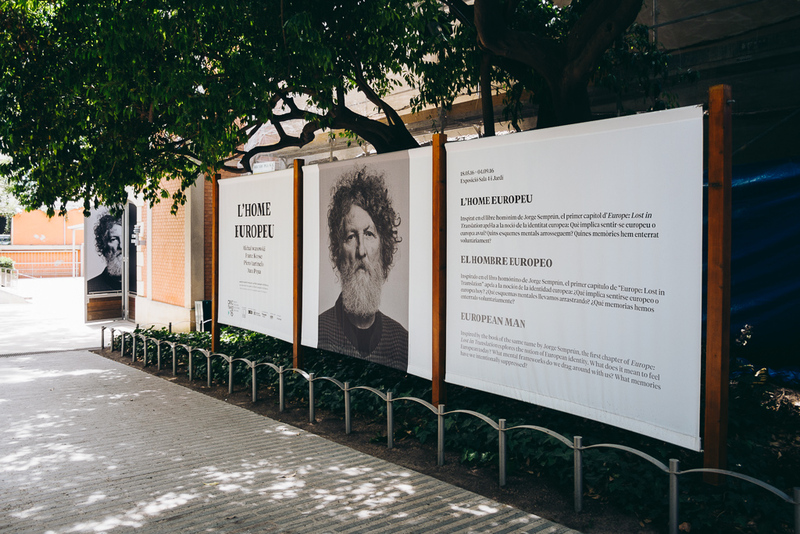 Dispaced Memories: Ricard Martínez, curated by Natasha Christia (outdoors installation). 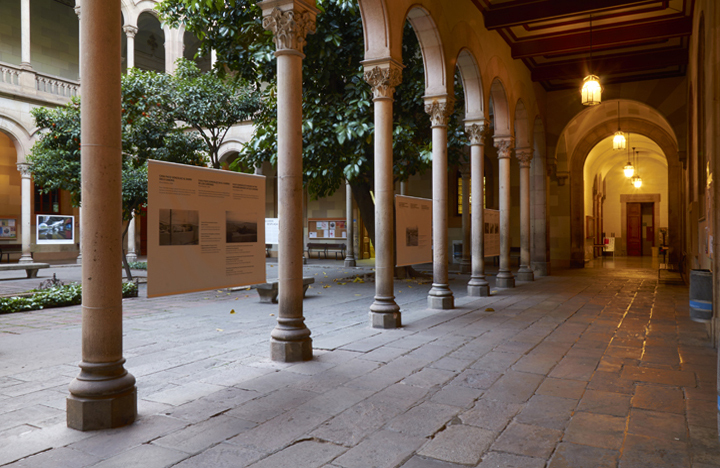 University of Barcelona, 19.05.16 > 21.07.16. 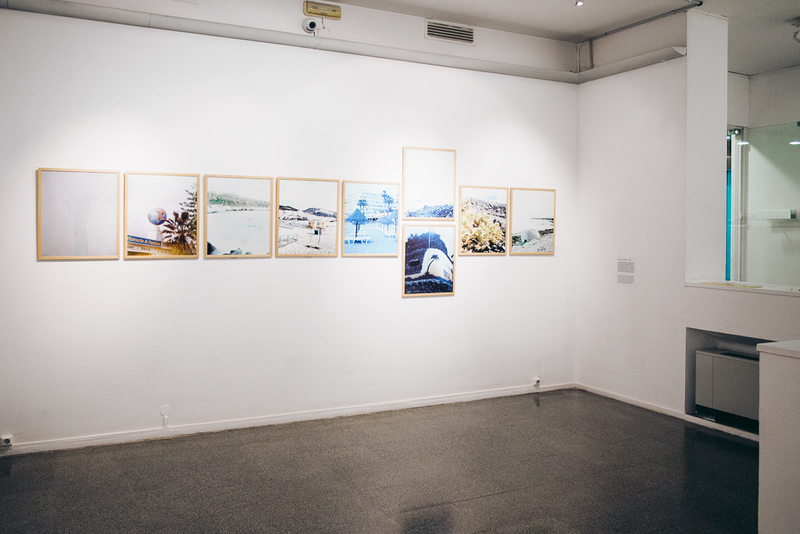 Artworks: © Ricard Martínez, Arqueología de Punt de Vista. 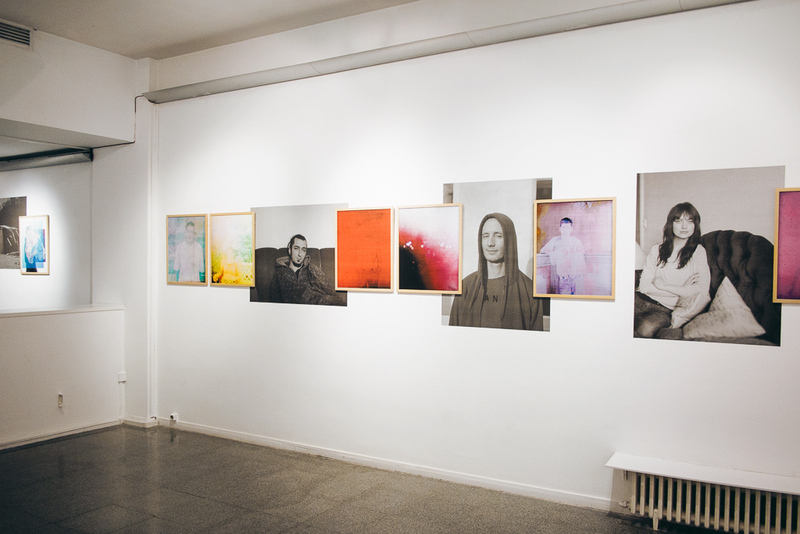 / Installation views: © Ricard Martínez. 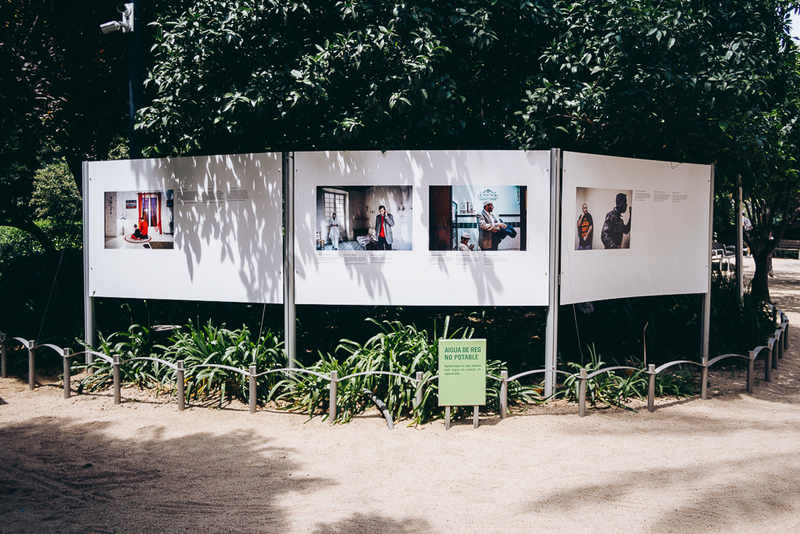 Short exhibition statement: In a Europe shaken by the crises of refugees and immigration, the European dream takes on new meaning, especially if we remember that we all have an immigrant or refugee in our family photo album. 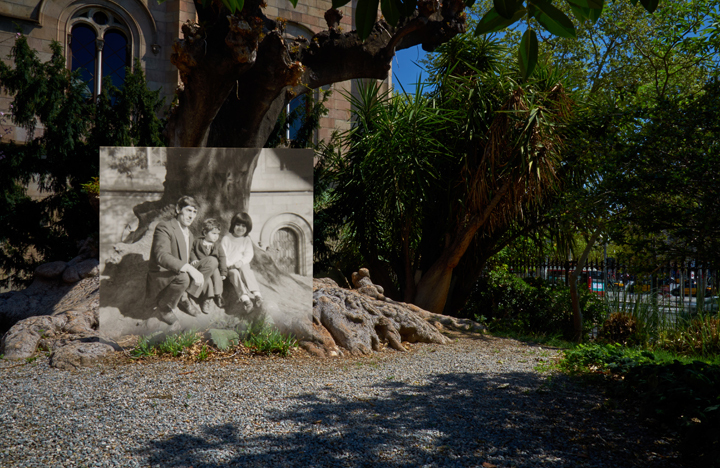 It is not so long ago that our grandparents and parents sought refuge from war or emigrated to Barcelona in search of a better life. 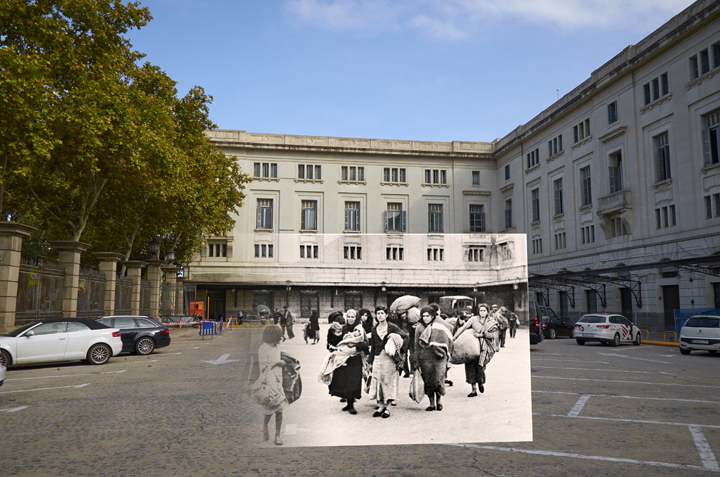 Displaced Memories links some of the first images which, at the time and still today, served to create the icon of refugee/emigrant in the context of the Barcelona of the Civil War and post-war. 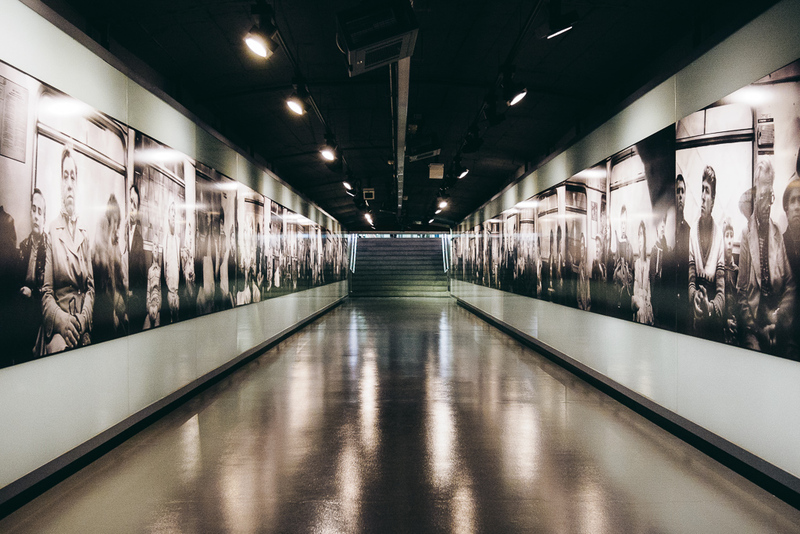 Ricard Martínez draws on images by both known and unknown photographers to create a large-format installation. 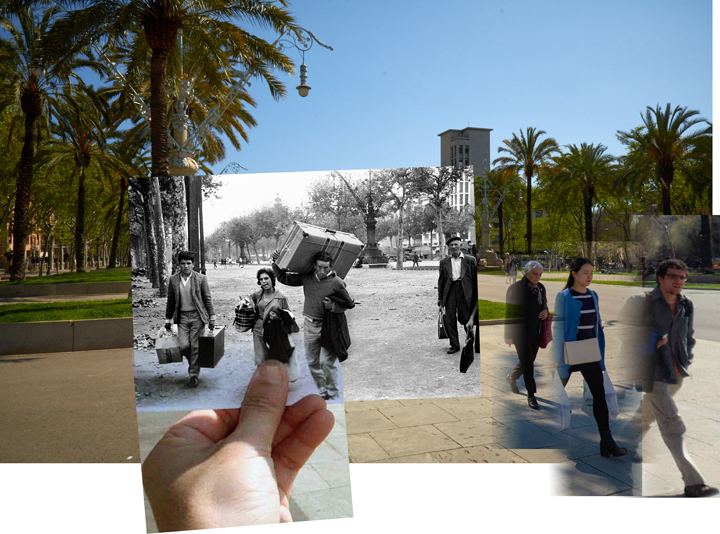 In order to carry out the project, he has employed the technique of rephotography, a painstaking technique which consists of returning to photograph a place that has been previously recorded in the past. 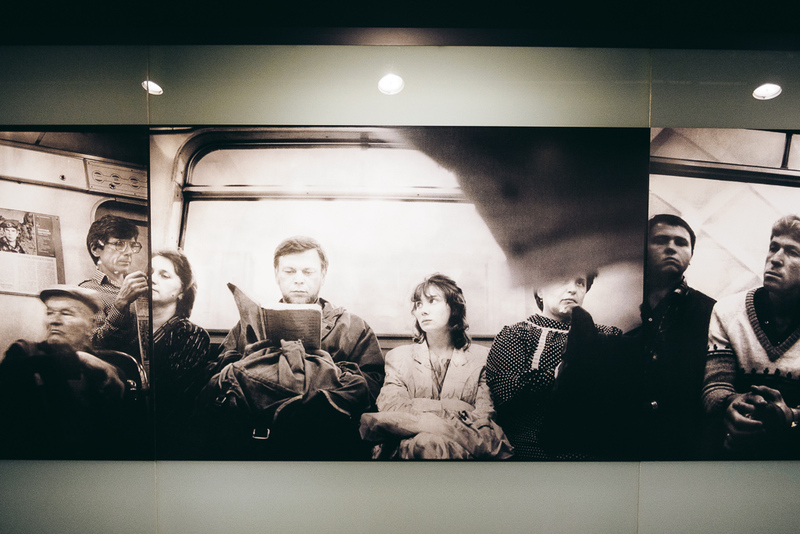 Share the post "DocField 16 Europe: Lost in Translation"